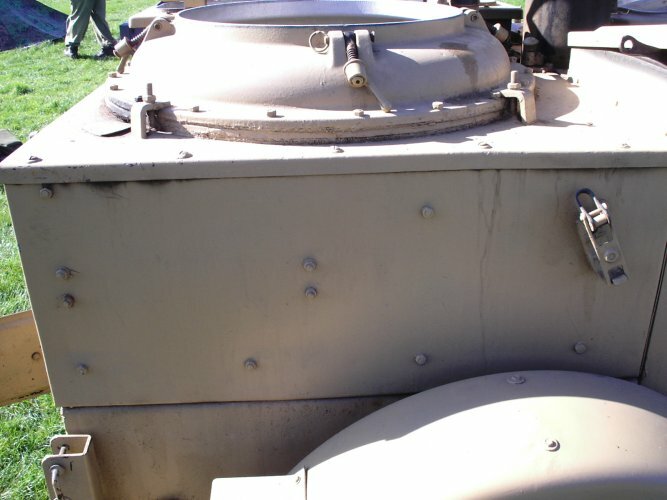 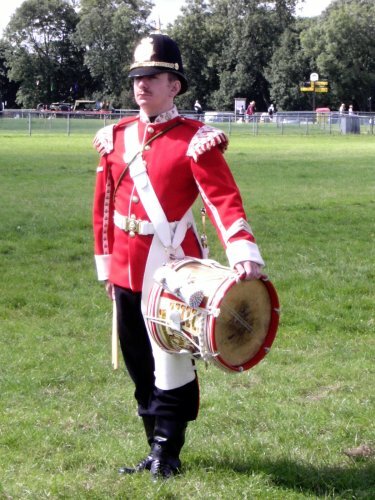 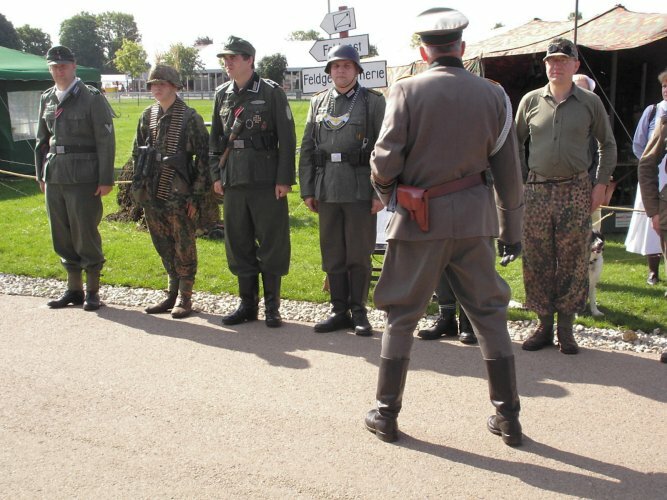 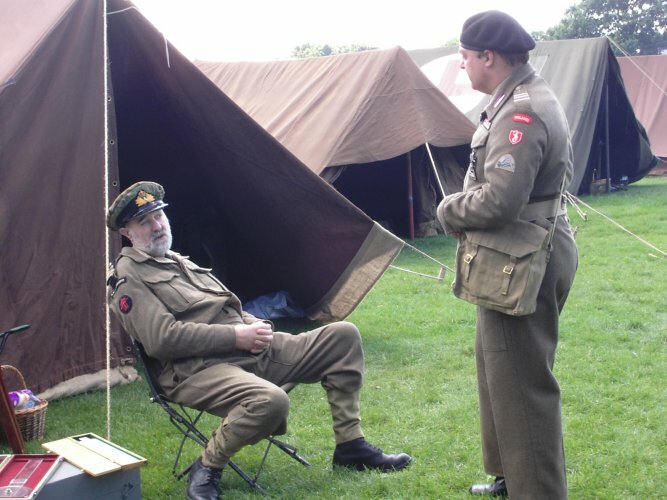 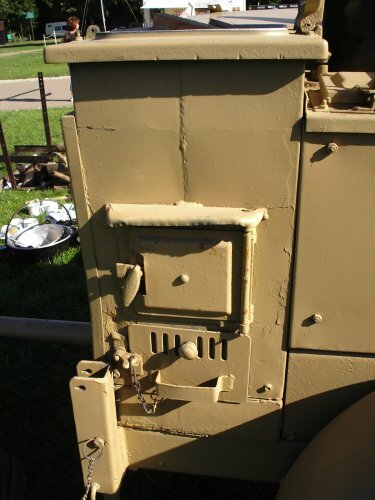 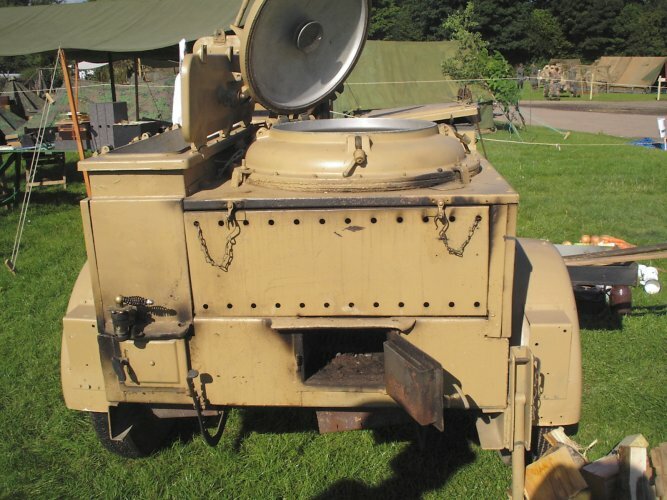 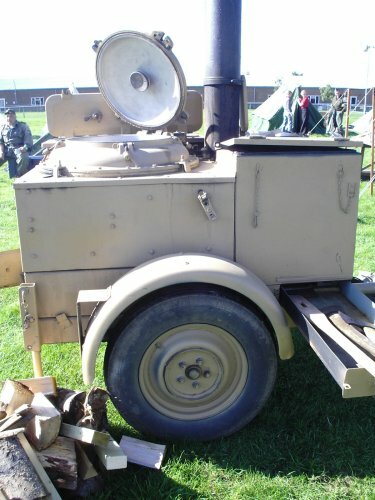 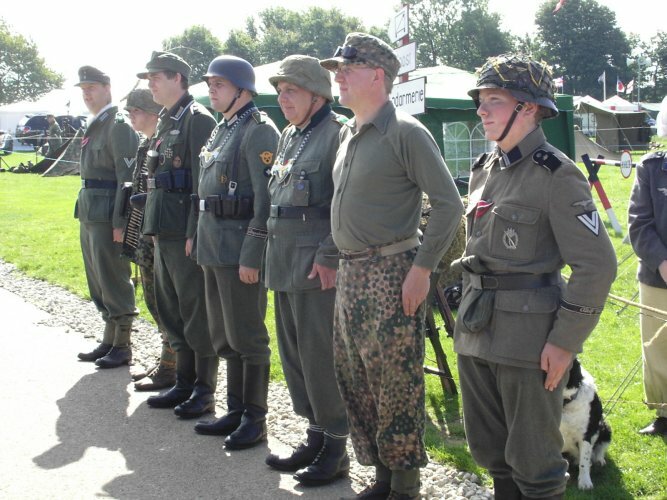 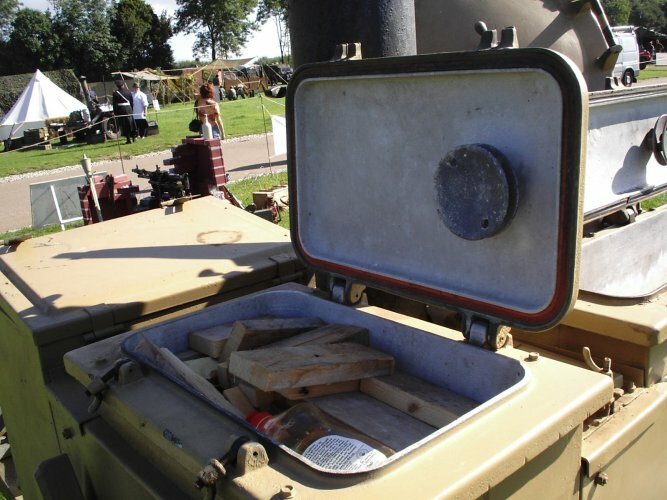 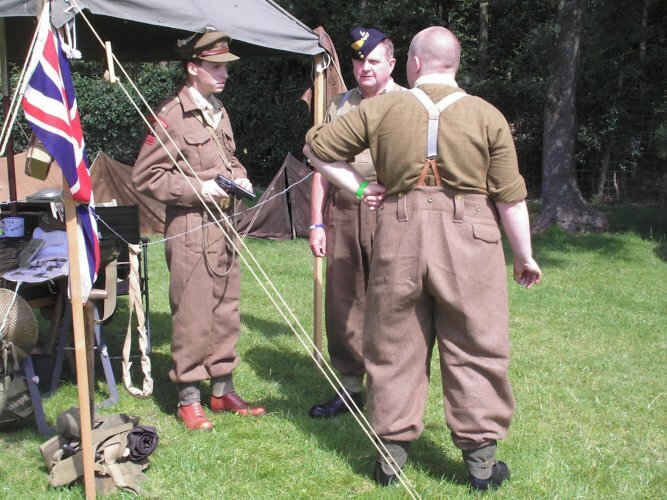 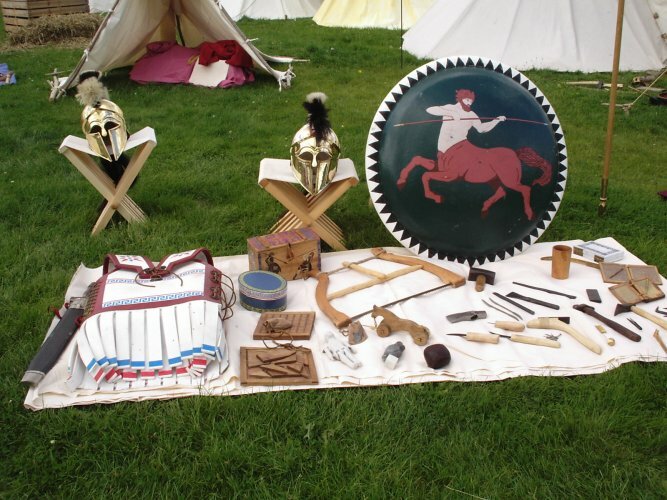 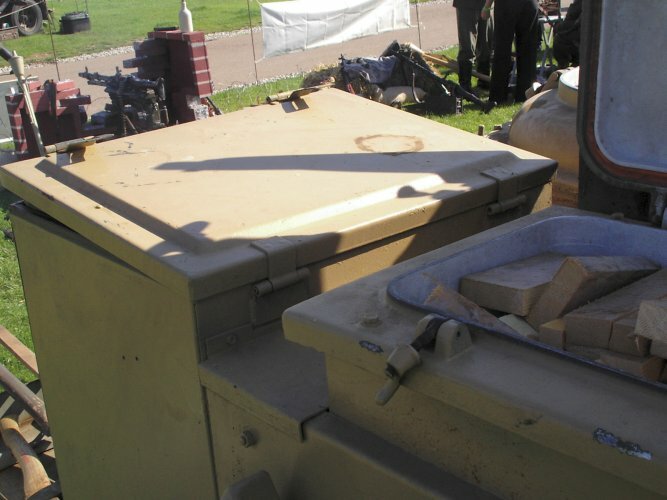 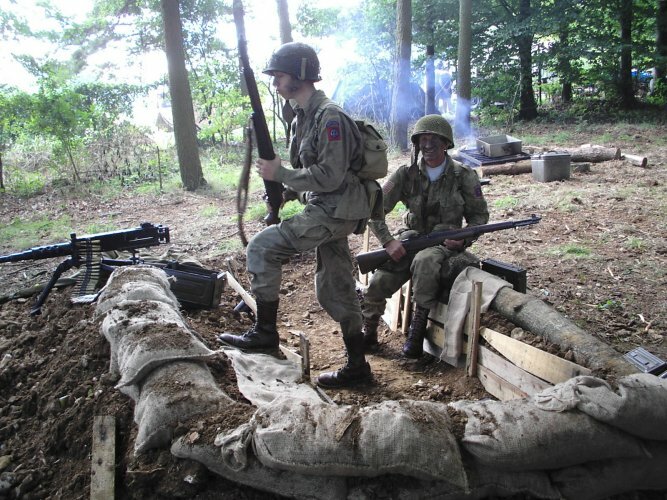 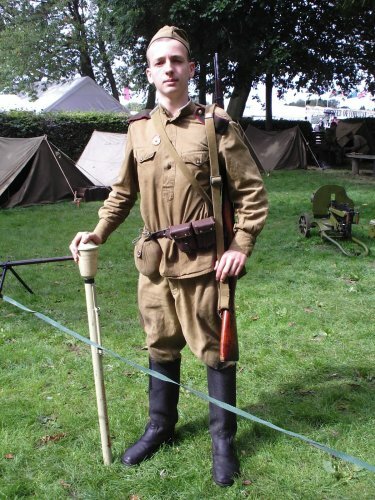 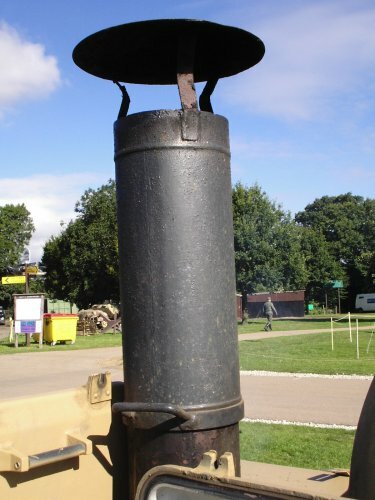 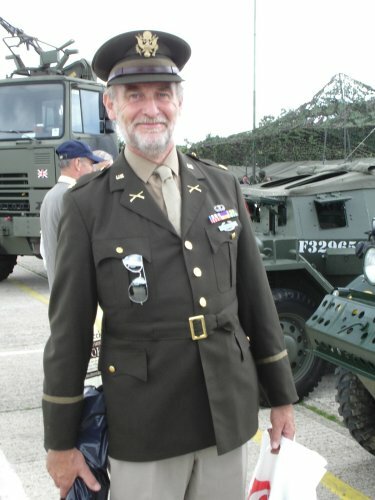 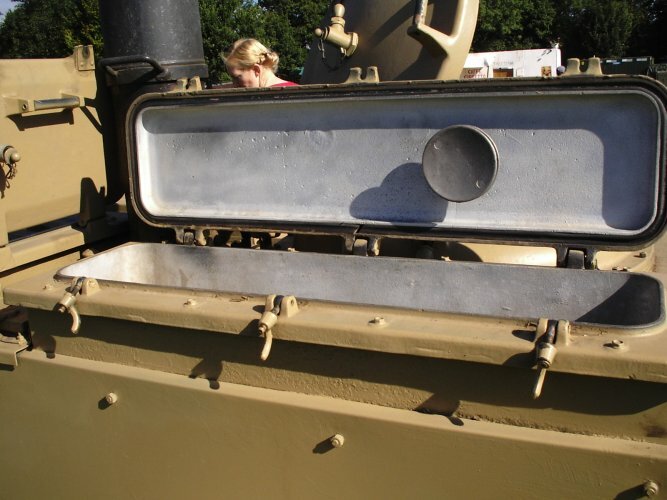 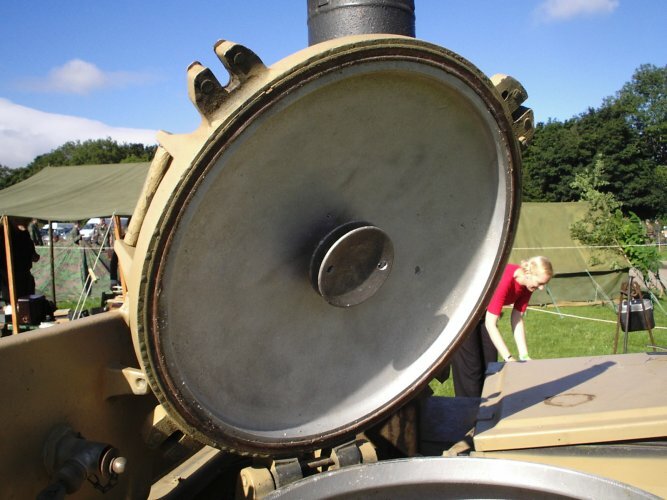 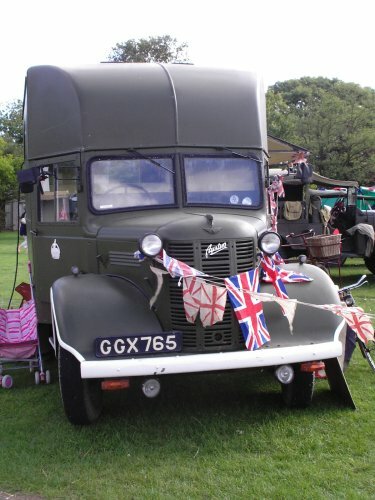 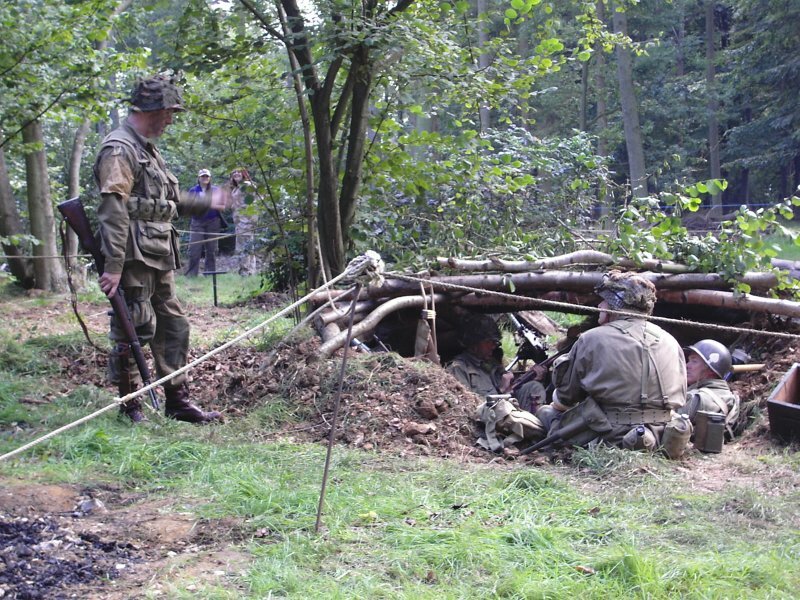 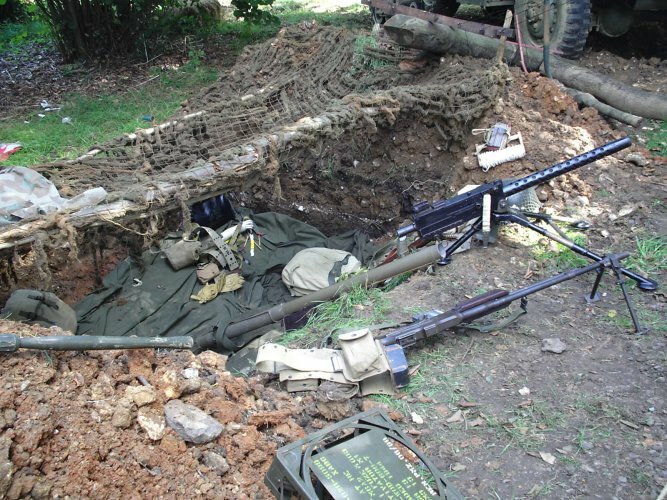 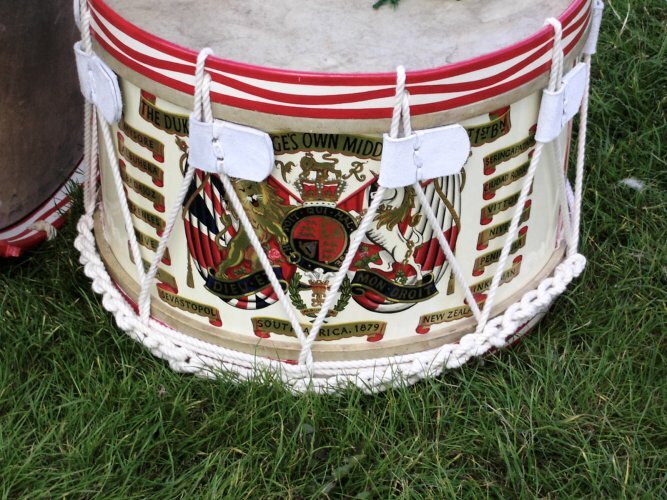 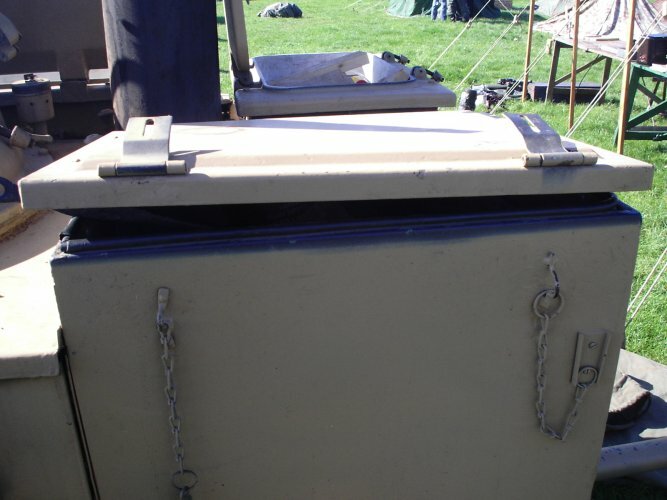 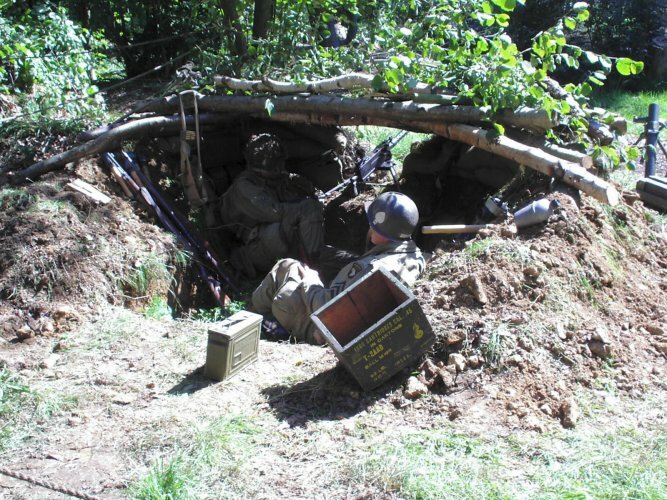 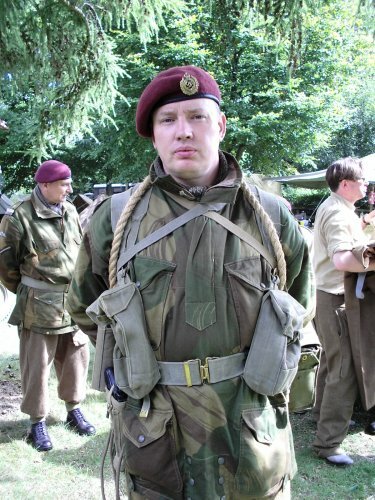 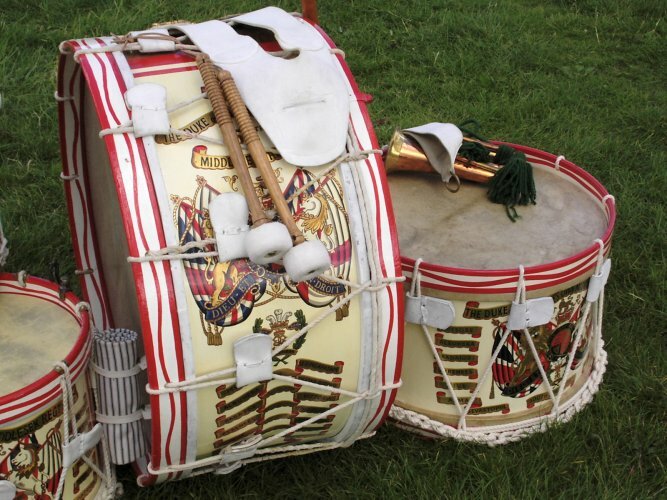 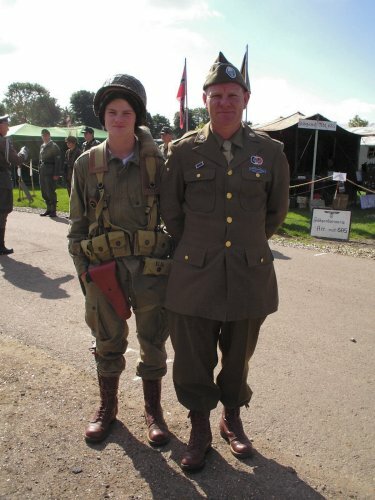 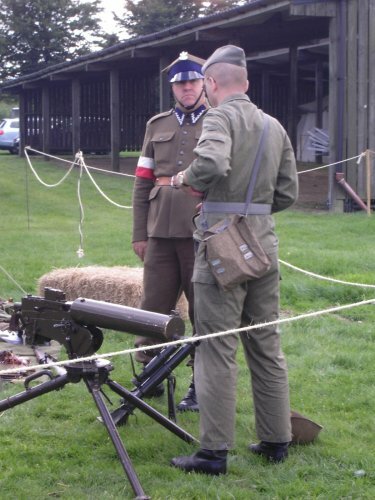 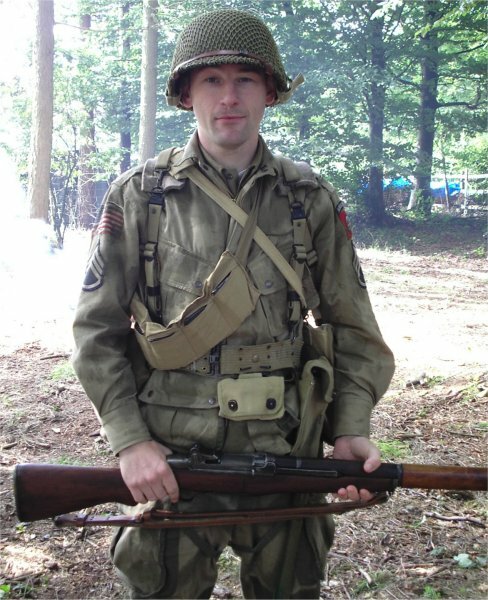 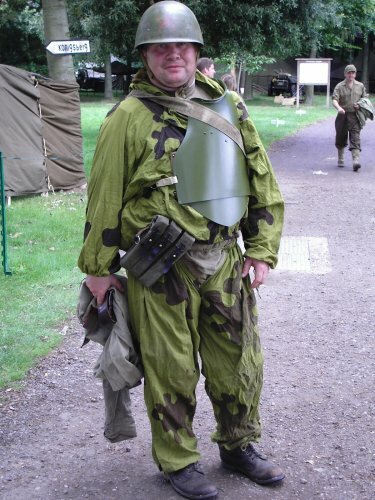 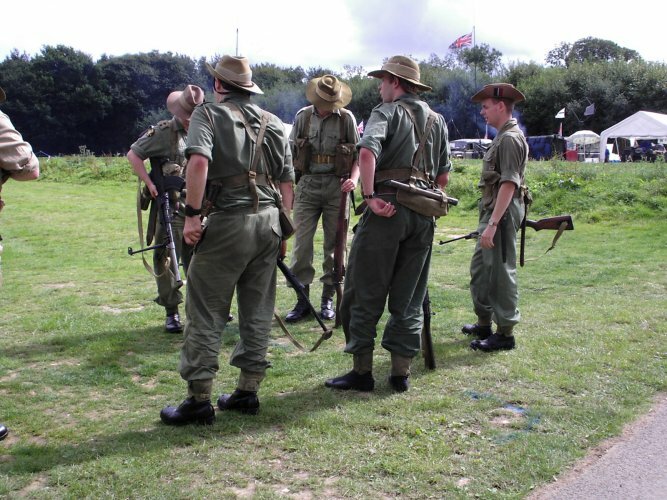 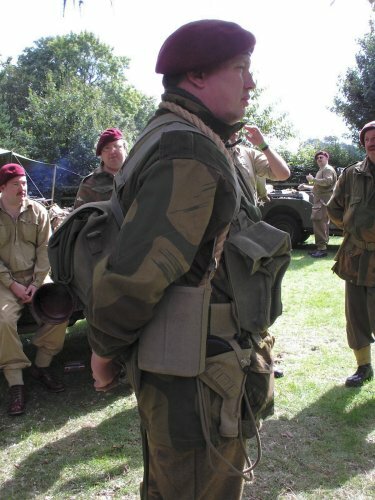 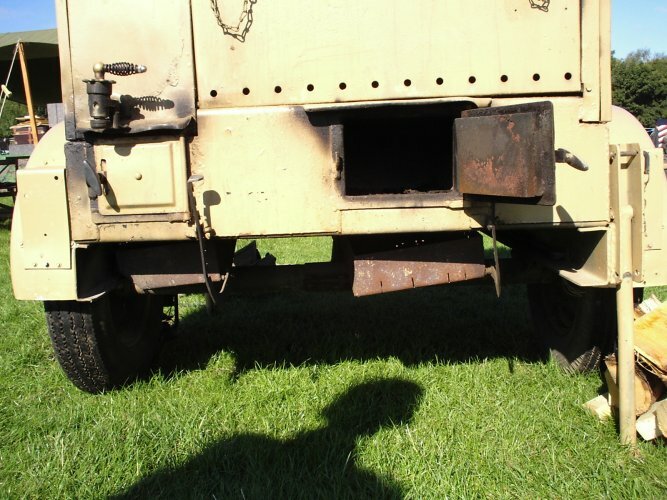 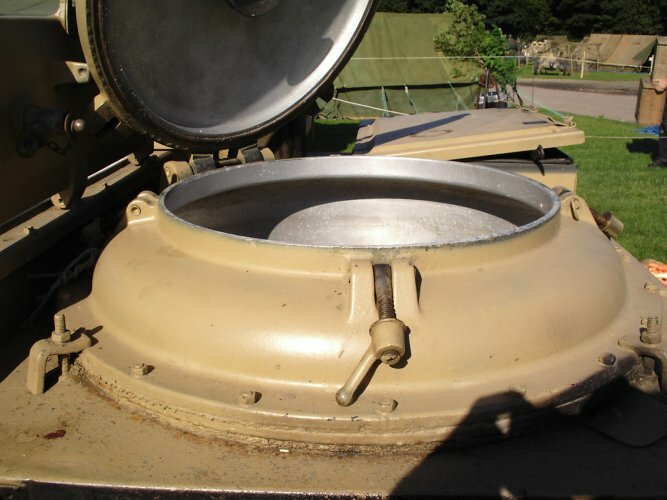 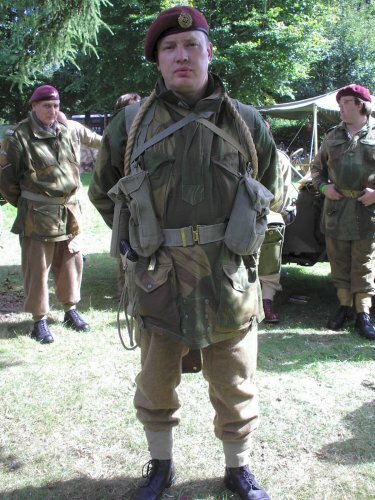 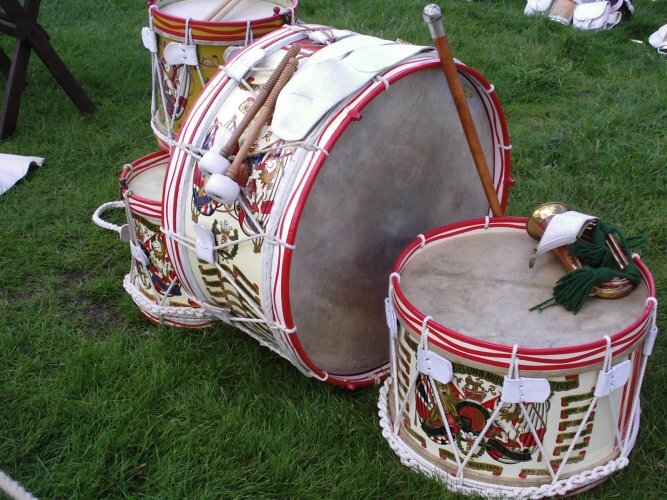 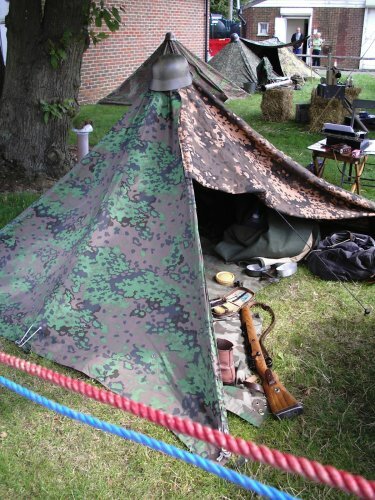 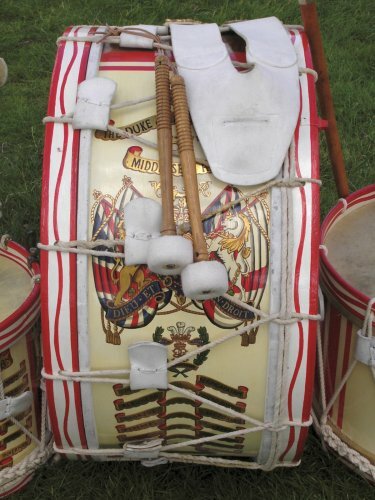 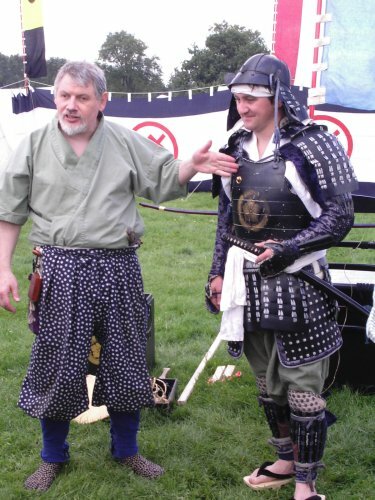 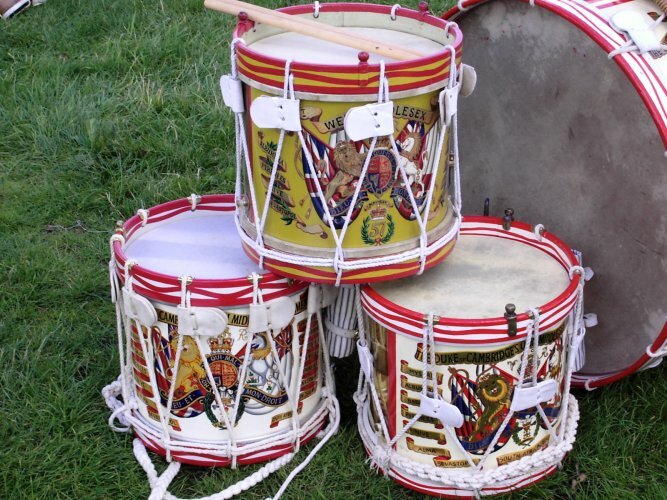 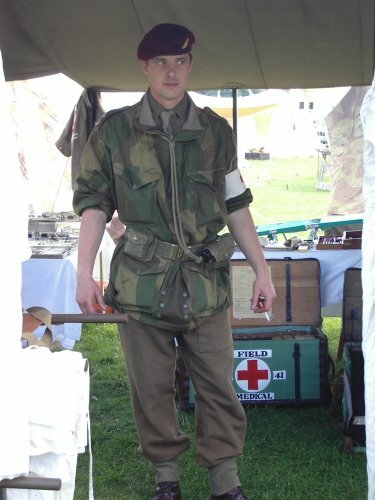 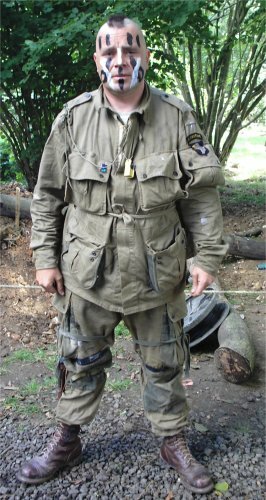 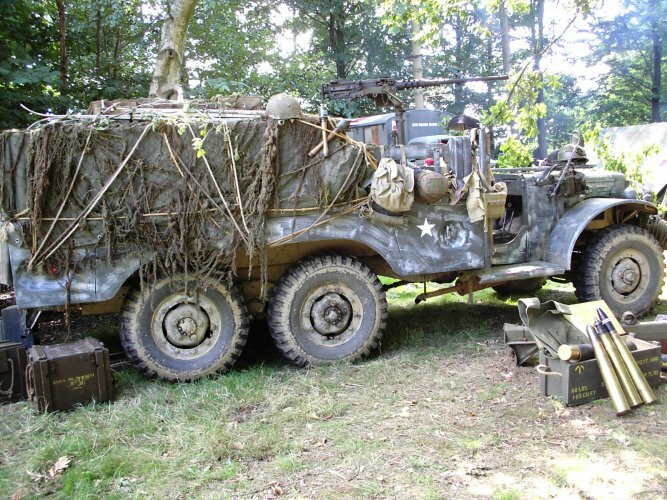 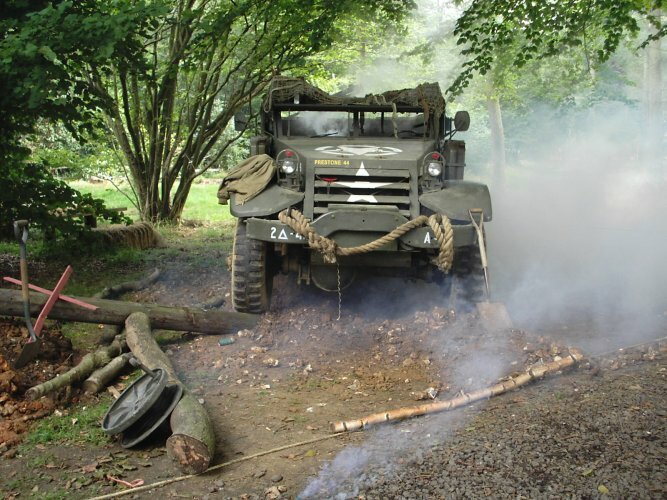 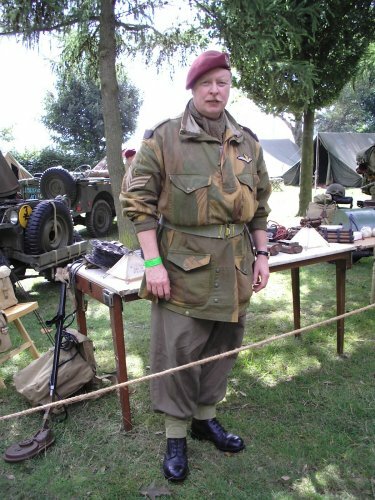 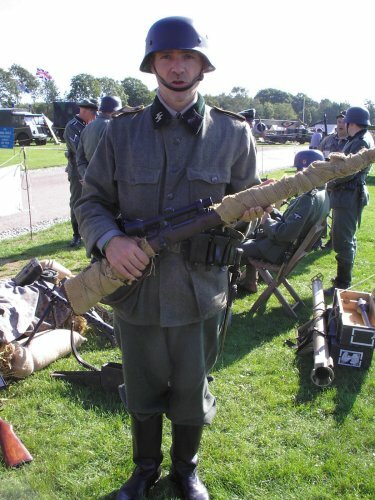 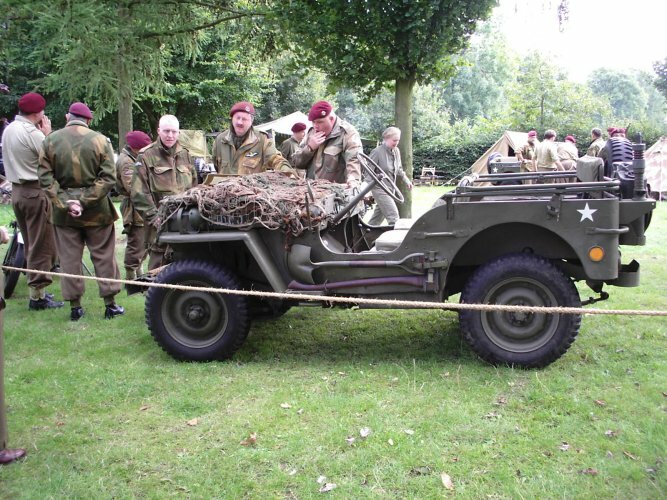 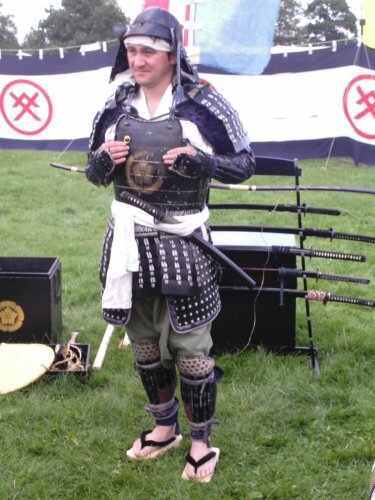 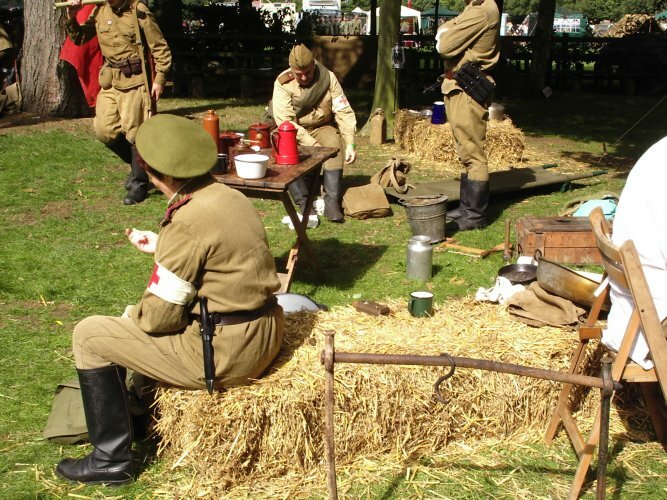 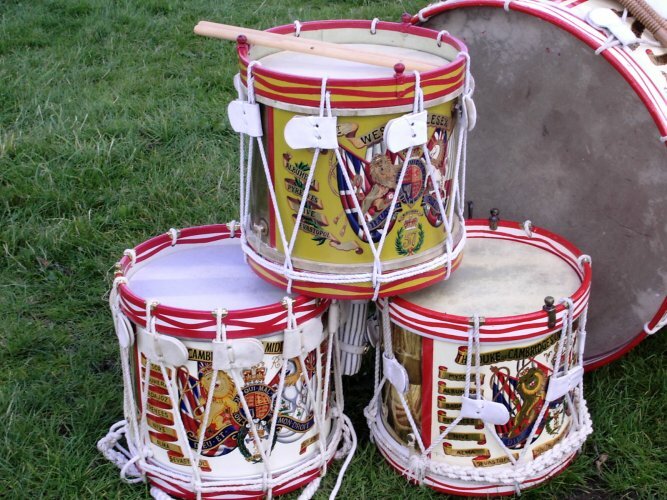 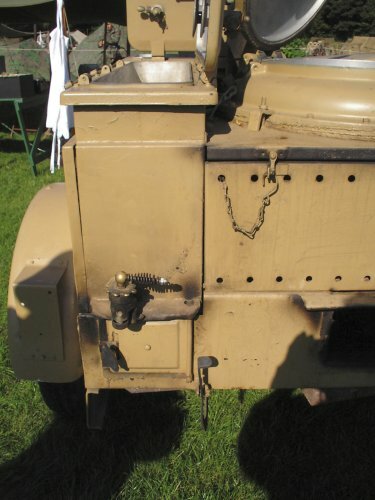 Welcome To My Detling (Military Odyssey) 2008 Visit Page. 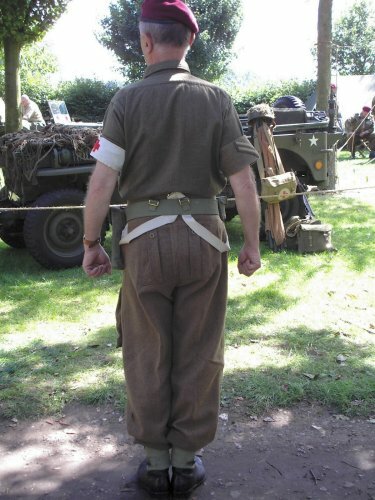 This page has the pictures that I took of the various re-enactors I both saw and talked to, and what impressed me again was just how friendly they were and only too happy to allow me to take the pictures, plus I also met a lot of people whilst walking around and they were more than willing to allow me to photograph them. 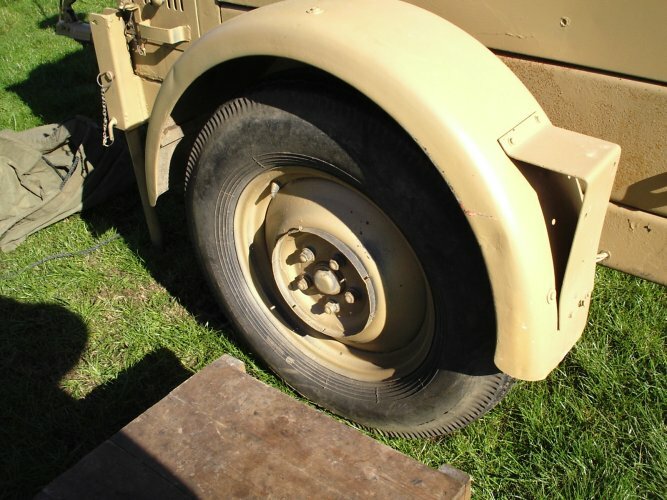 A lot of the pictures I took are on this page, plus I have also updated my Vehicles page with additional pictures in the different sections. 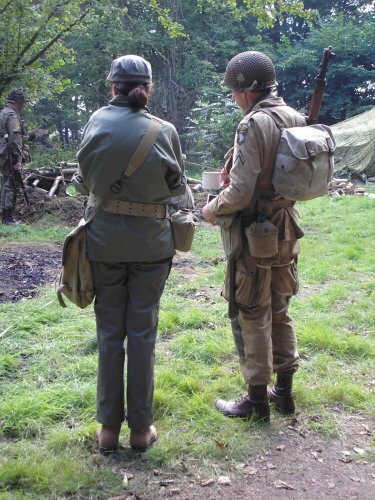 My sincere thanks go the all of the re-enactors I met for all of their help. 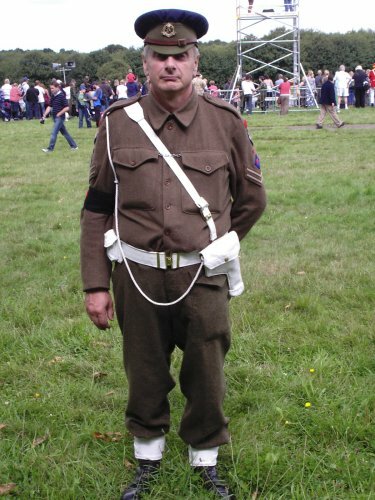 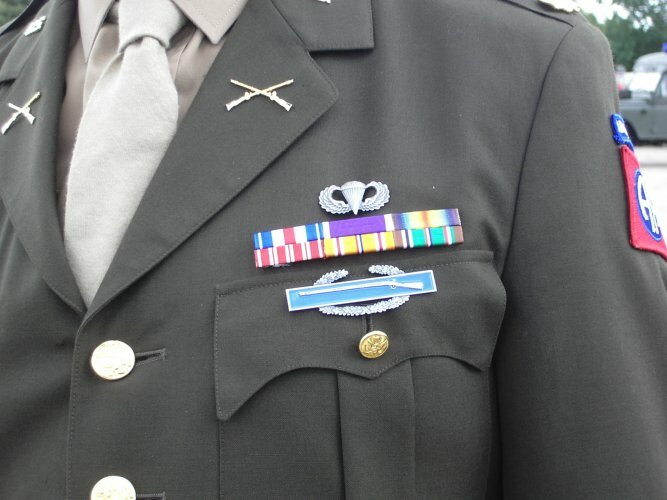 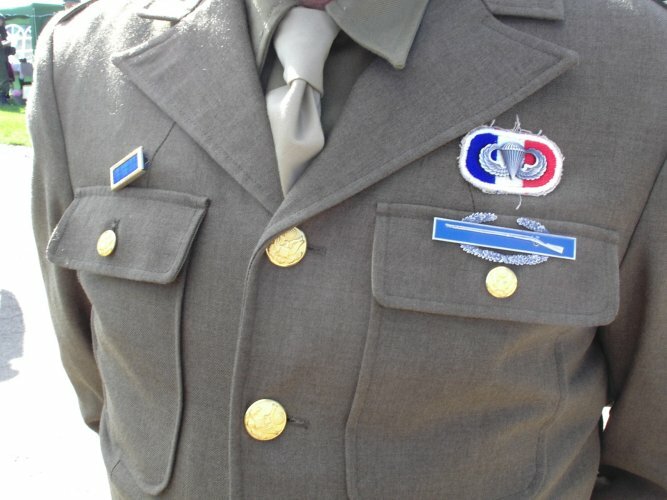 A special mention has to be made to a gentleman from the All American Pathfinders for allowing me to photograph him and for allowing me to take up his time. 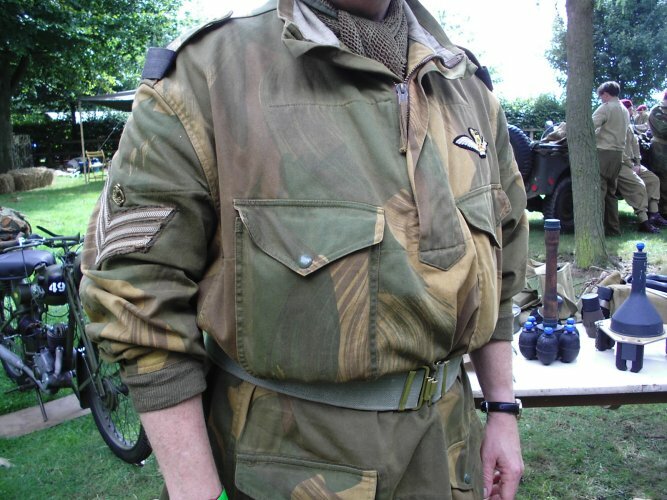 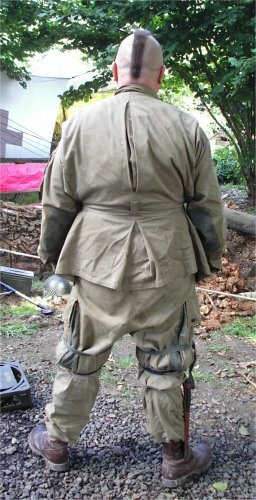 I also found out that the inner helmet shell colour is brown, not green as made by the 1/6th model companies. 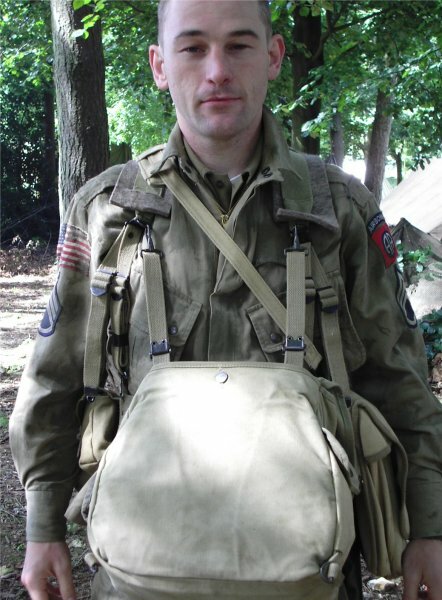 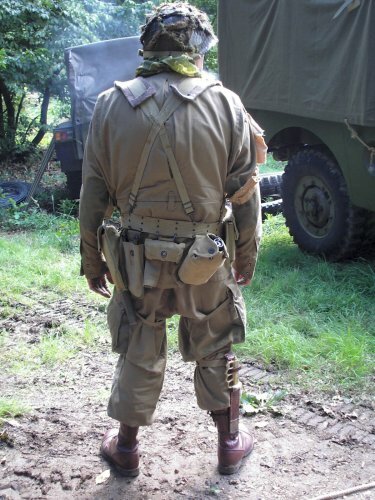 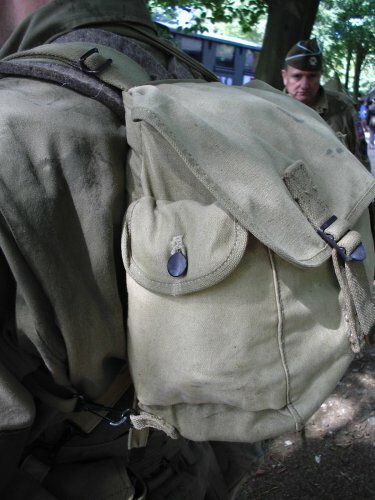 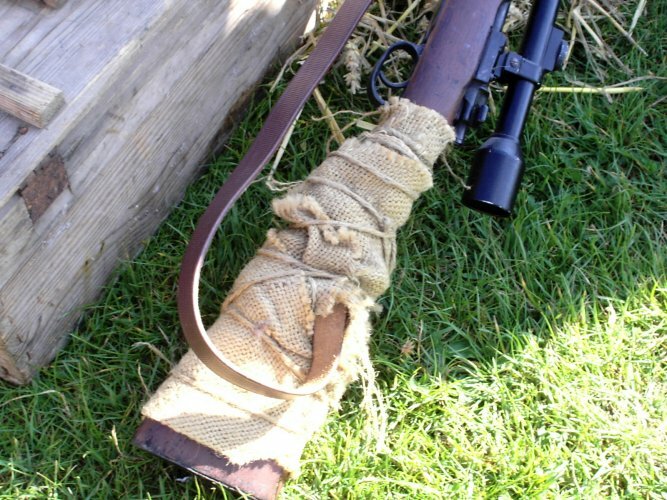 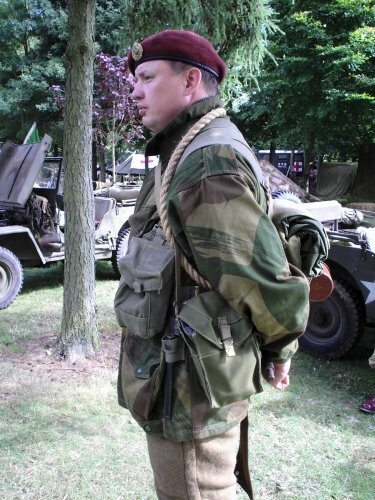 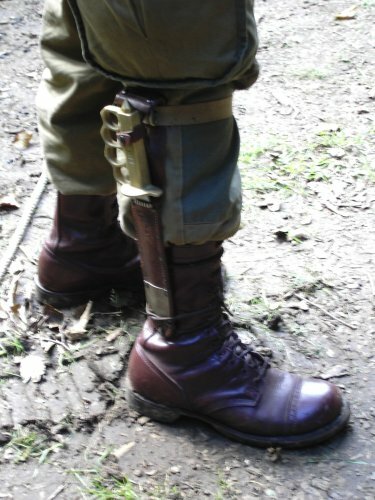 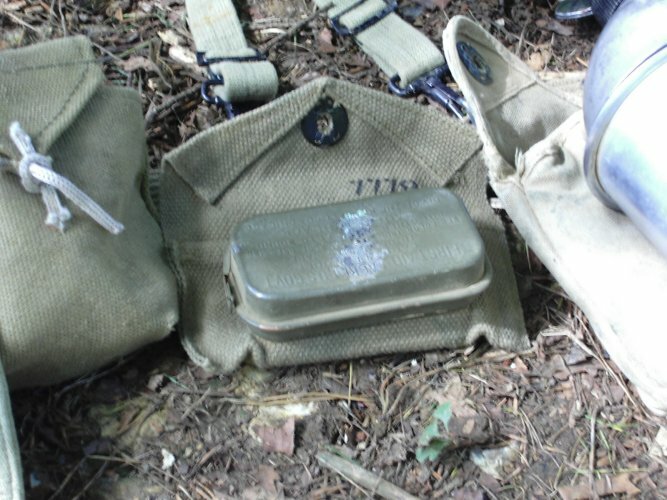 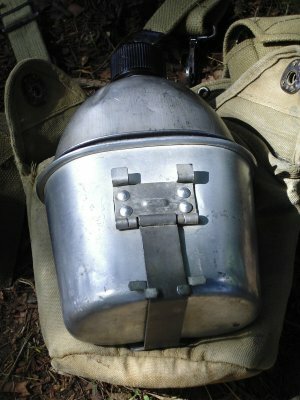 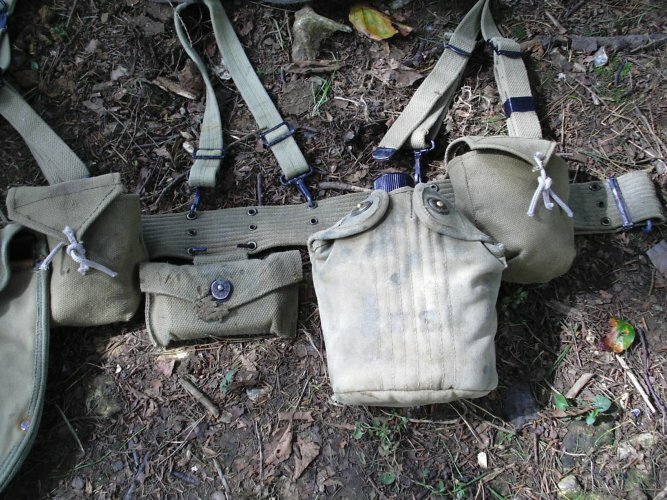 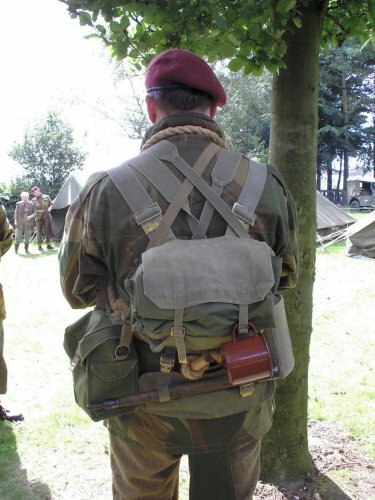 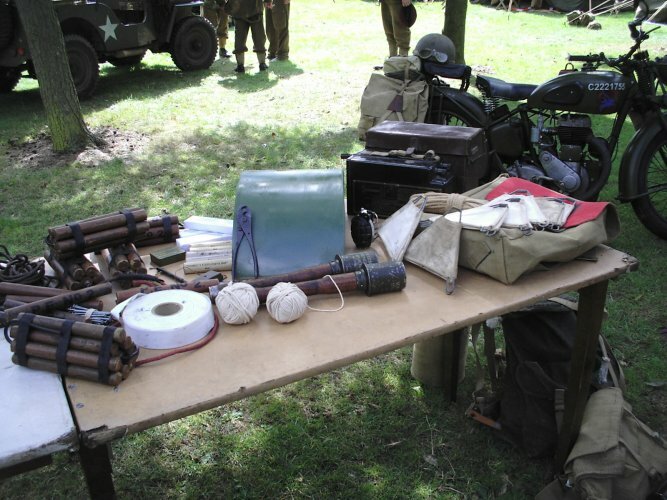 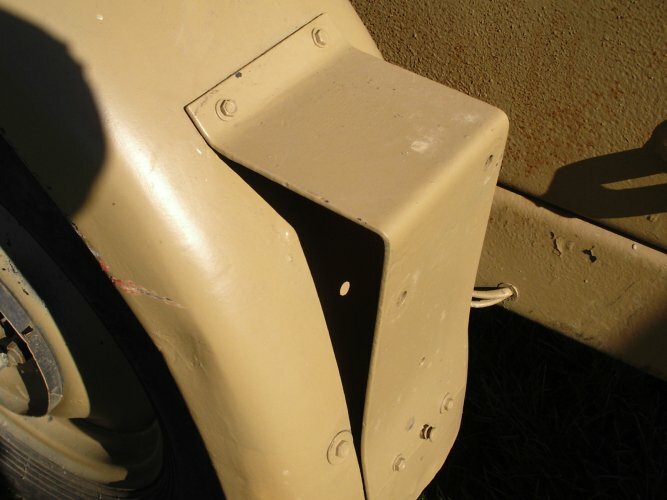 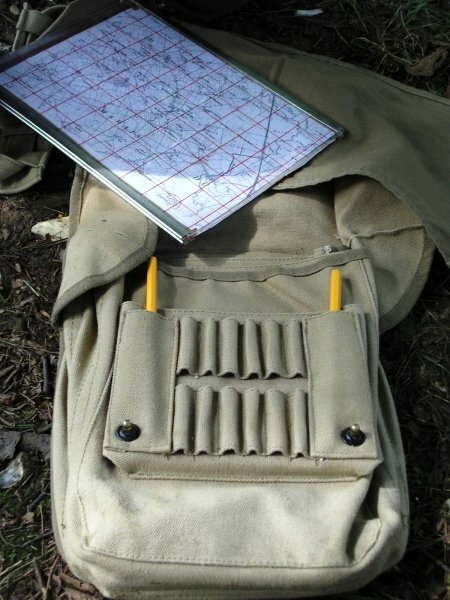 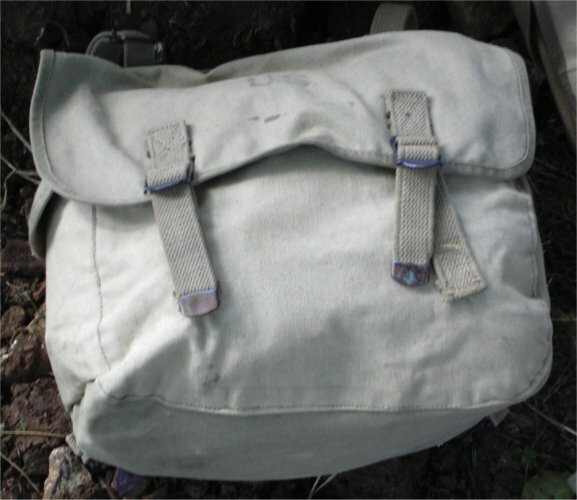 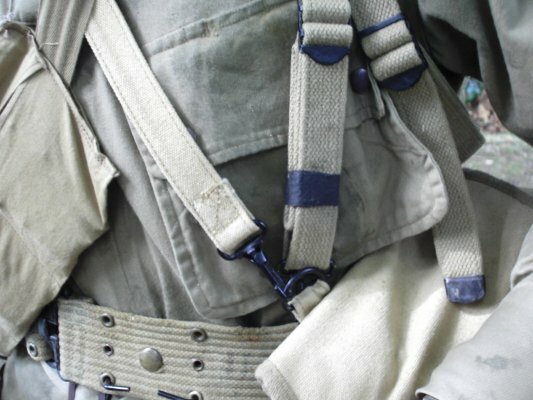 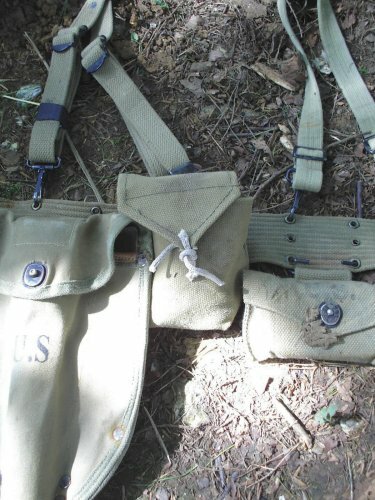 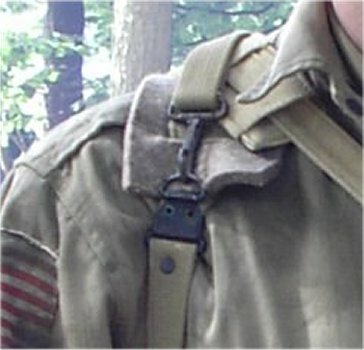 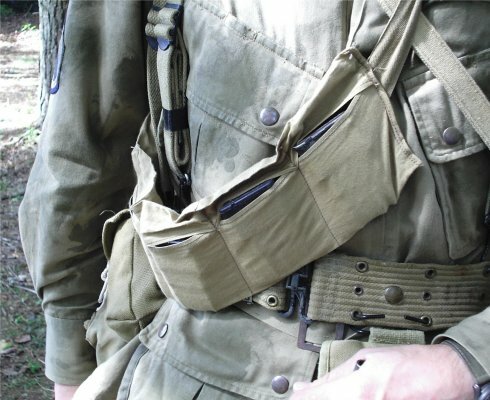 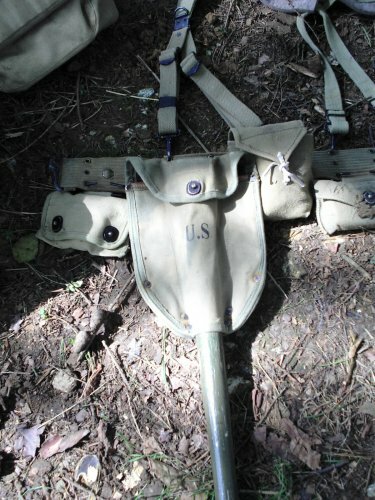 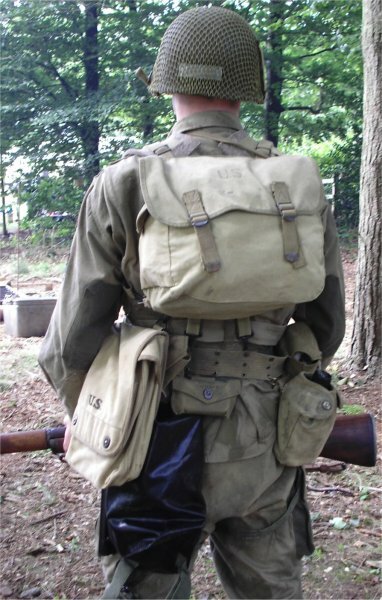 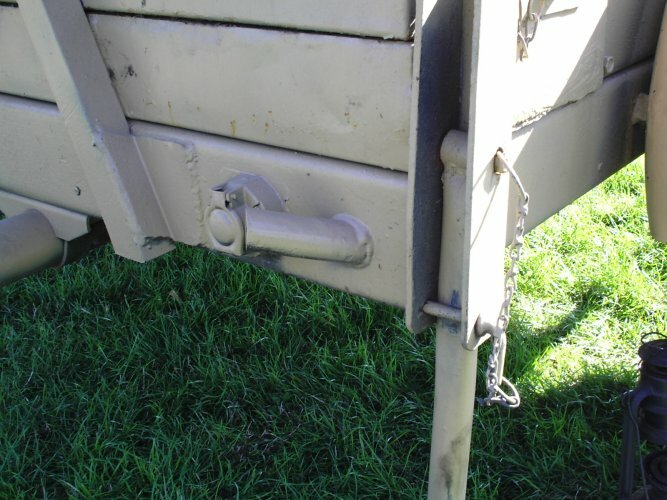 And the rigger pouches as shown below, were only used by the 505th airborne with the tie straps. 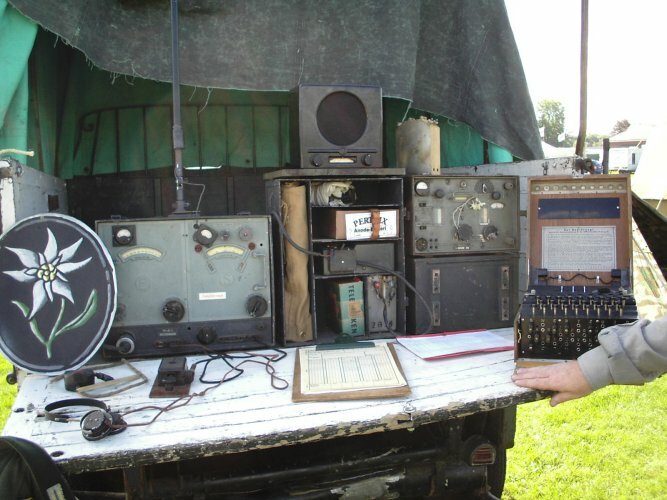 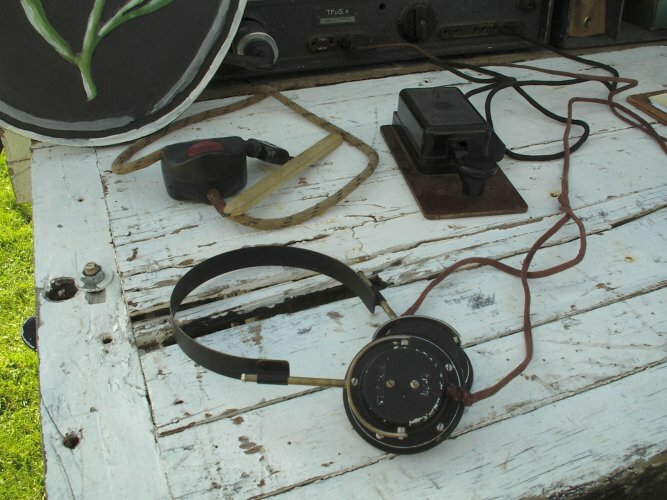 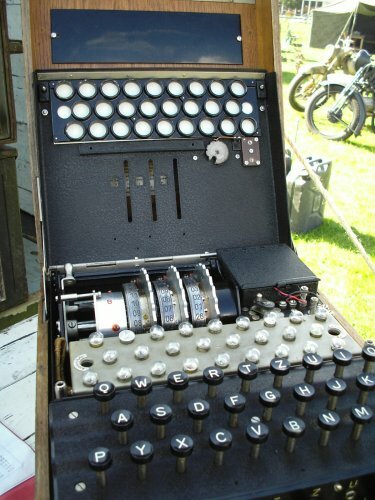 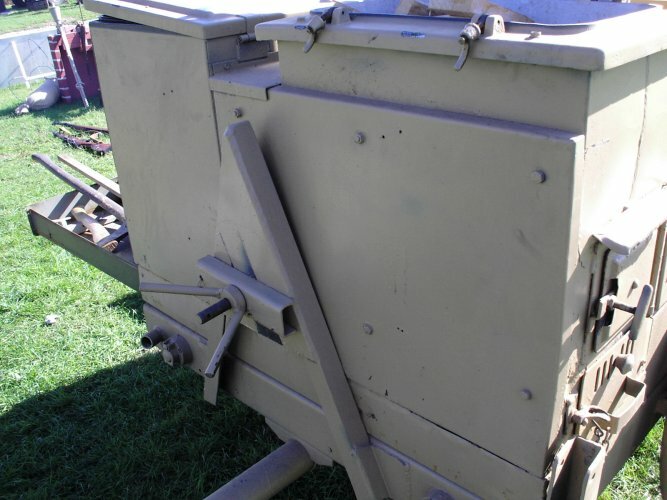 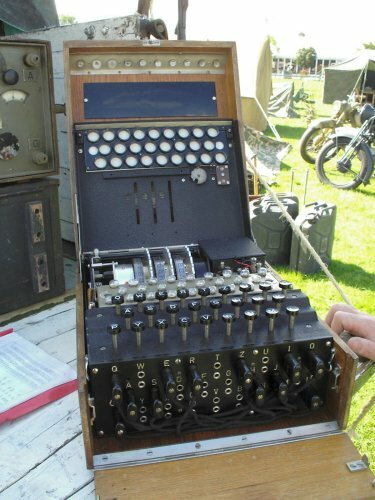 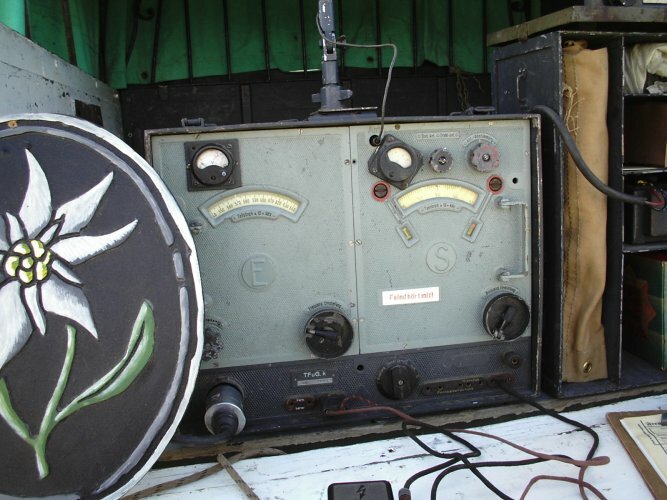 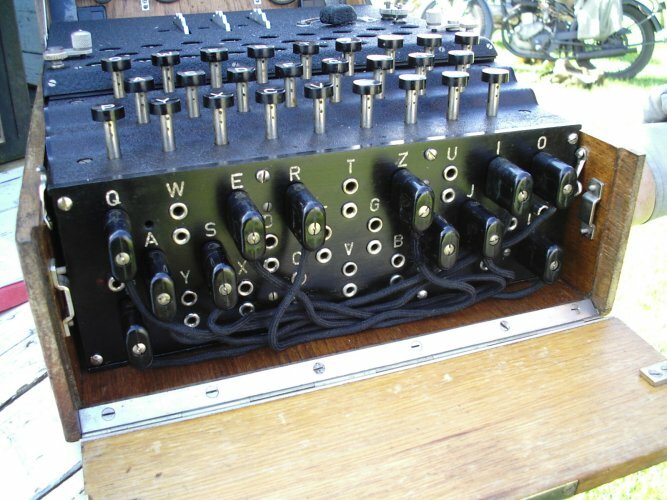 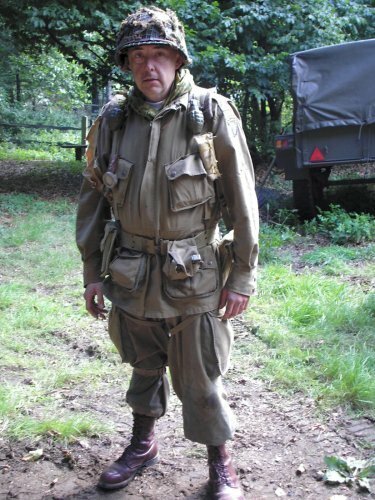 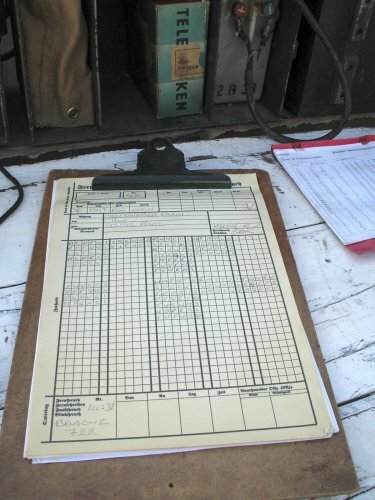 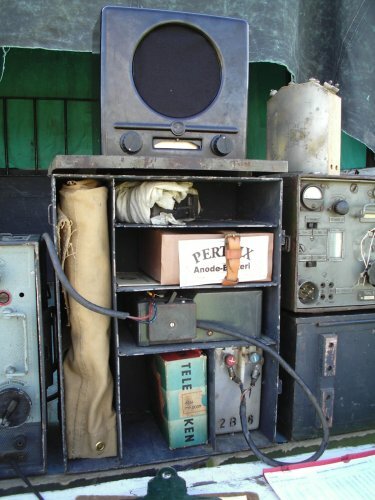 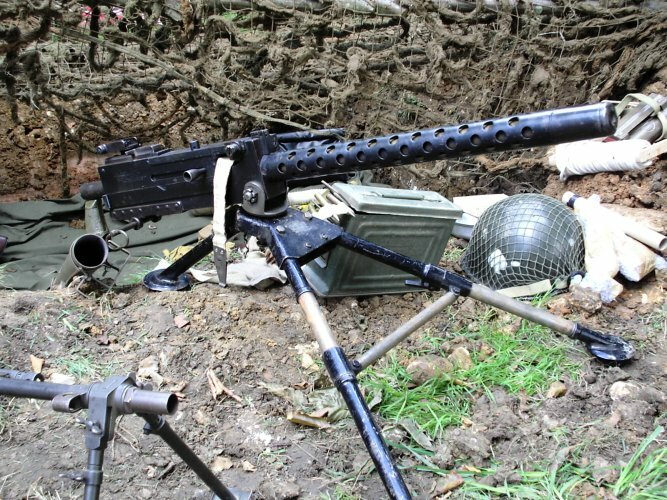 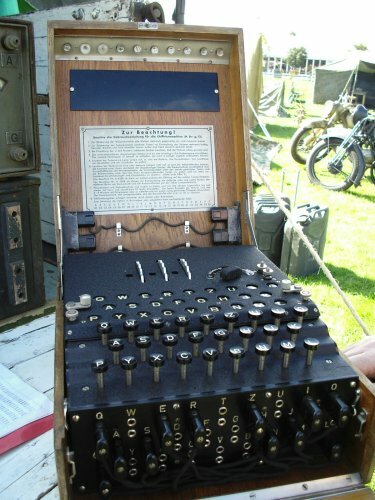 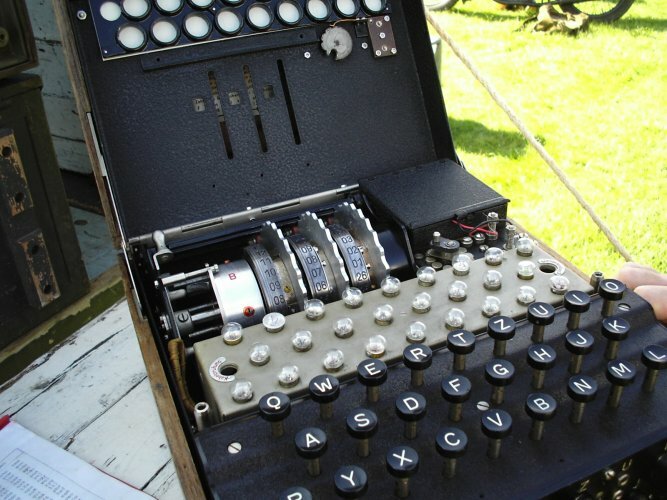 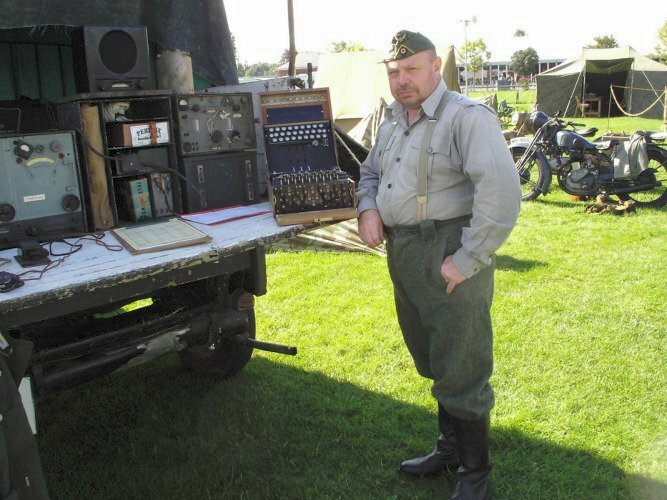 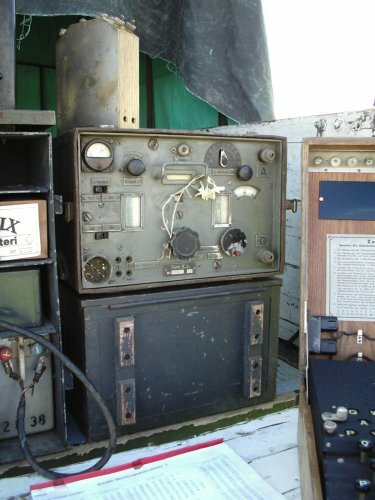 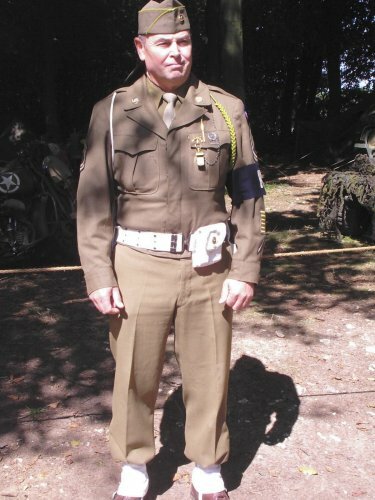 These images are courtesy of the gentleman shown below from the 85th Gebirgsjager re-enactor group who allowed me to photograph his German radio equipment, along with the genuine Enigma coding machine. 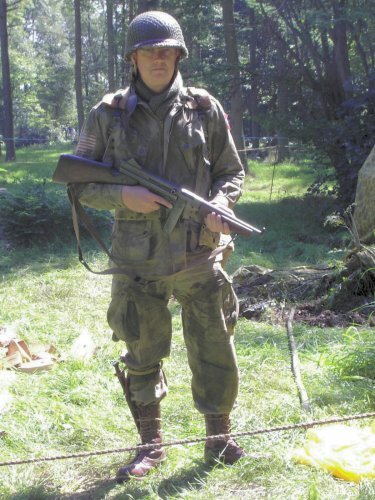 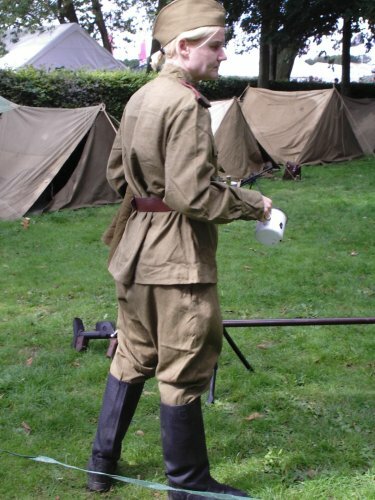 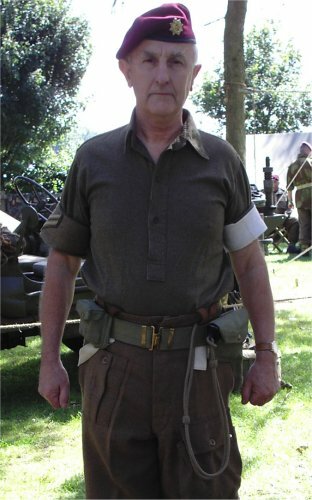 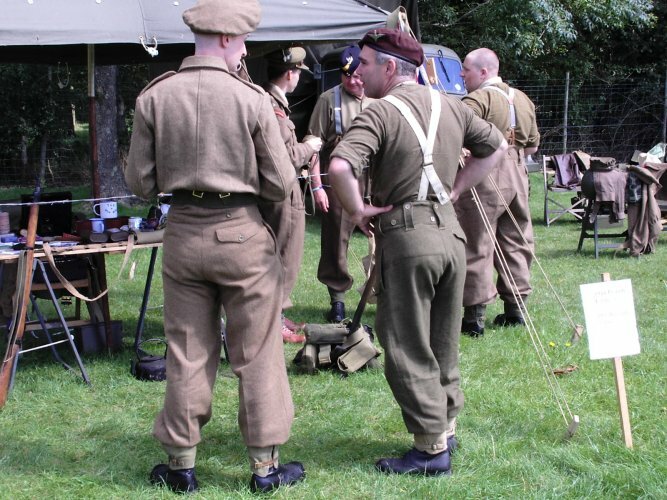 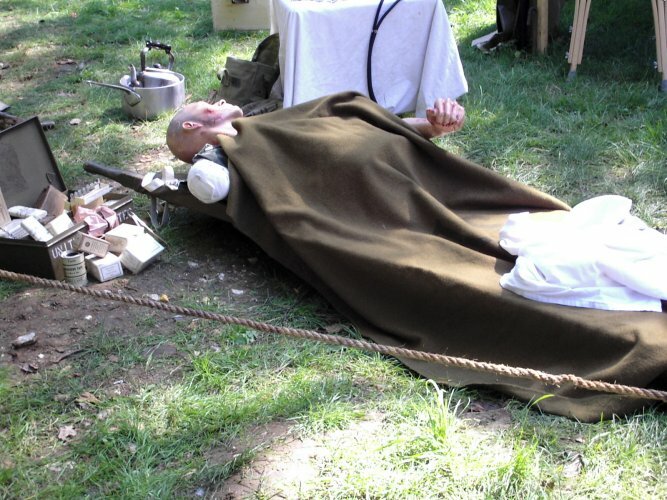 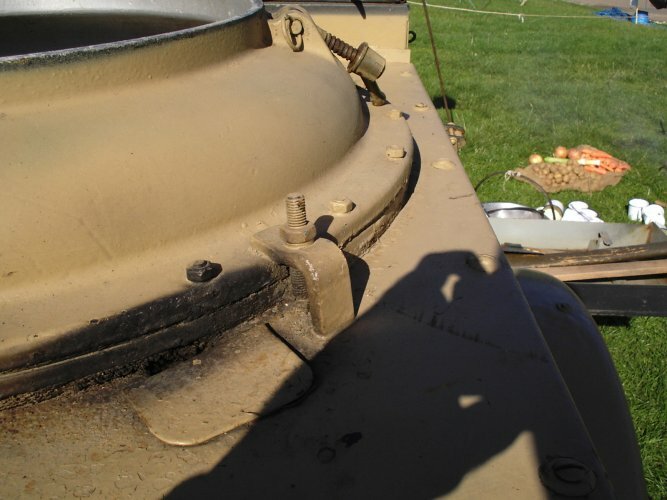 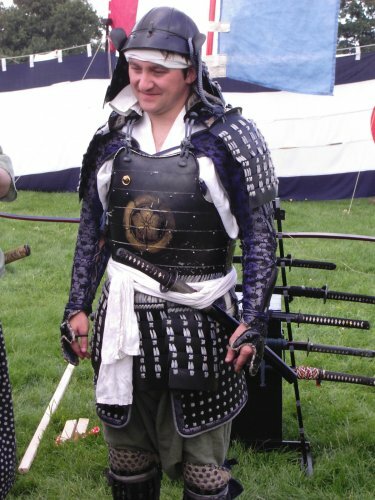 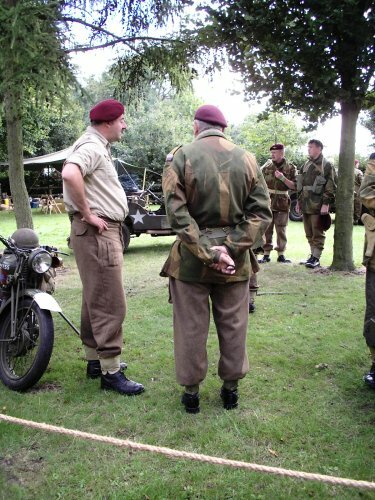 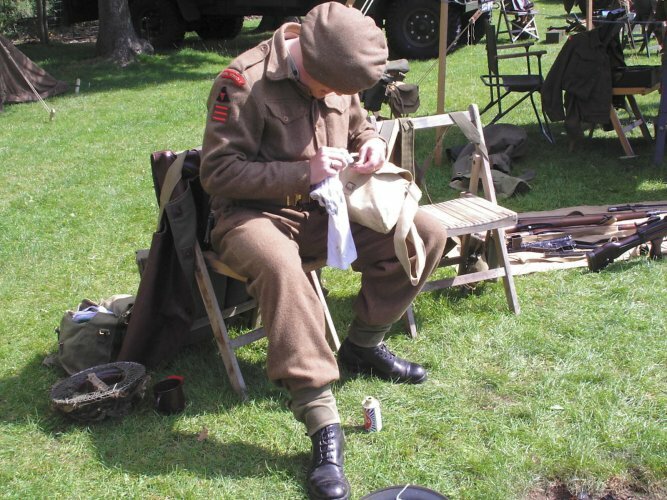 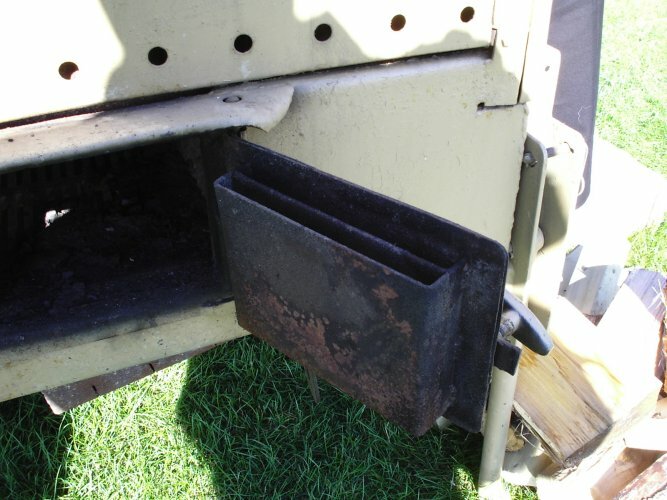 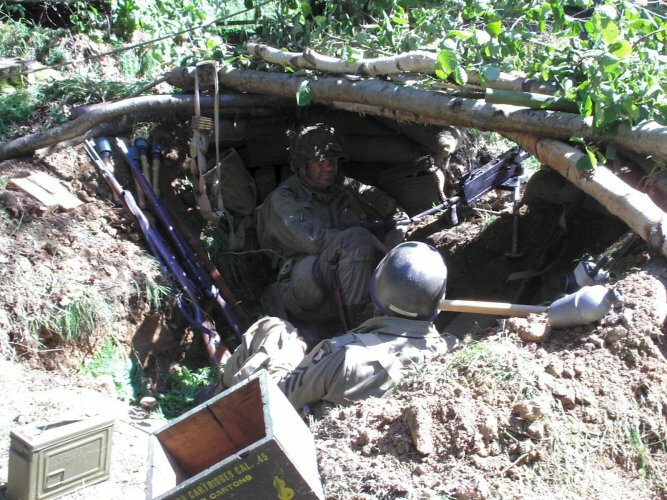 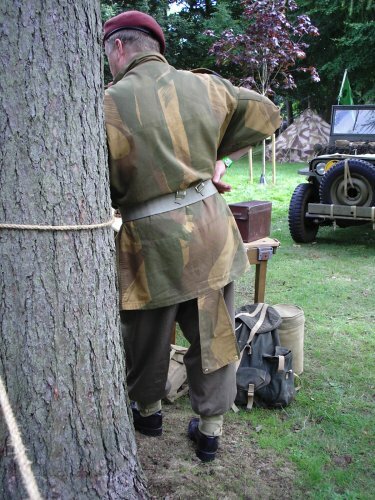 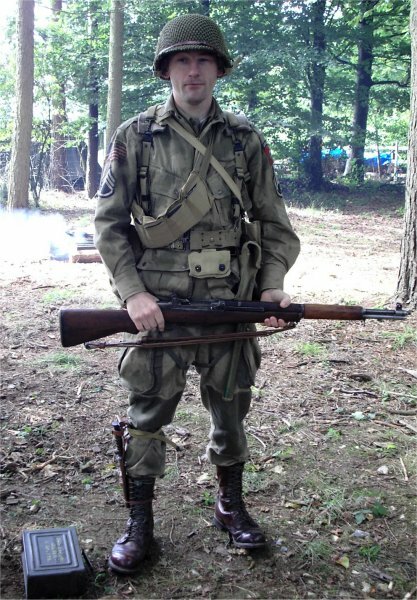 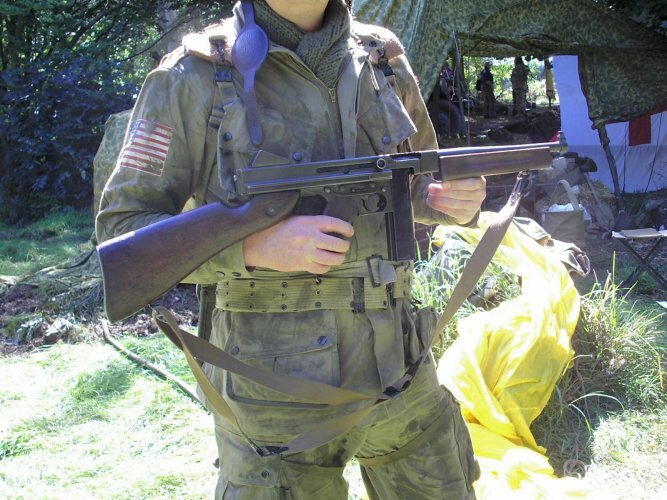 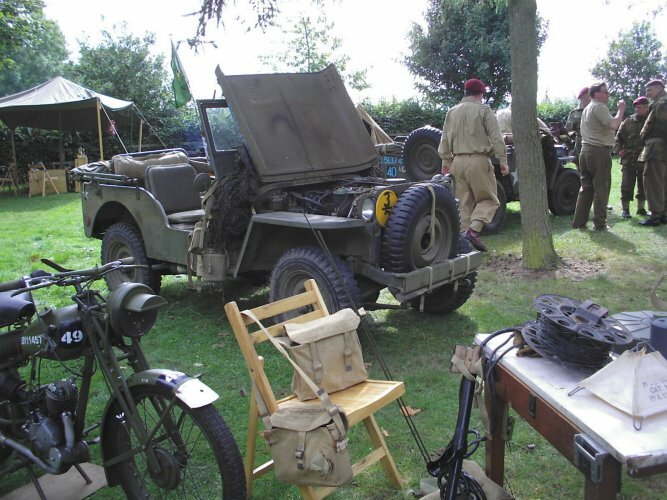 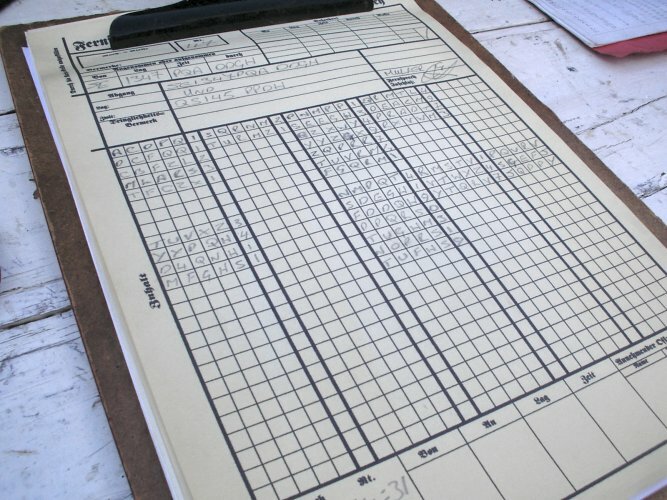 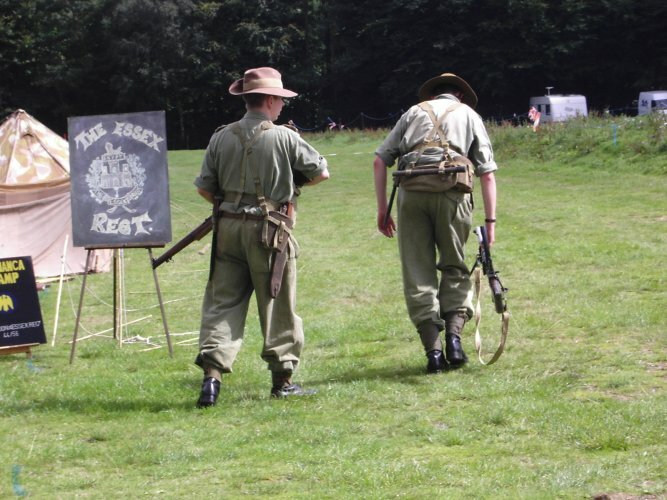 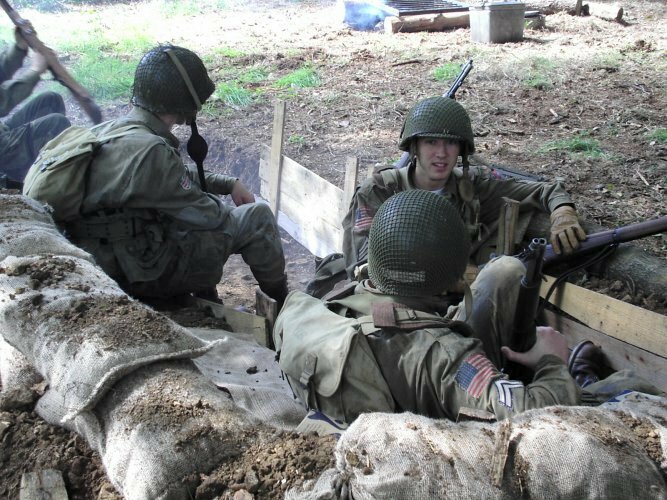 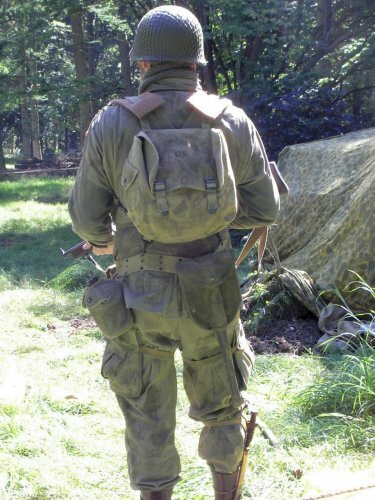 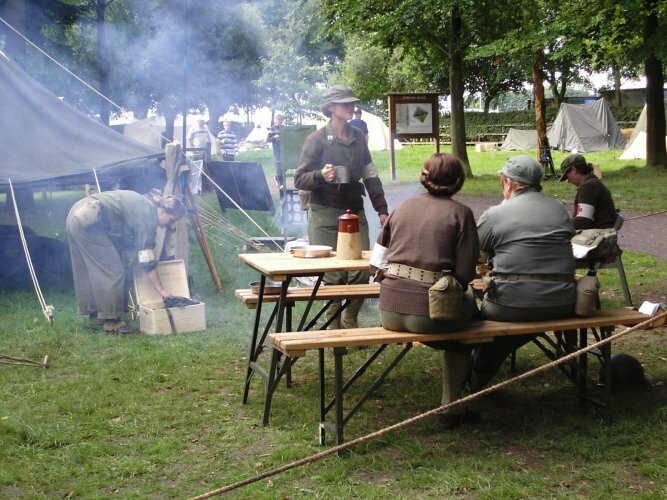 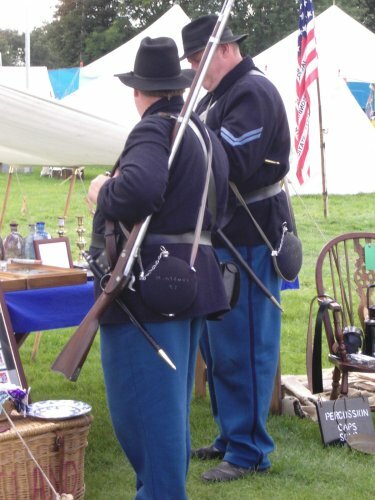 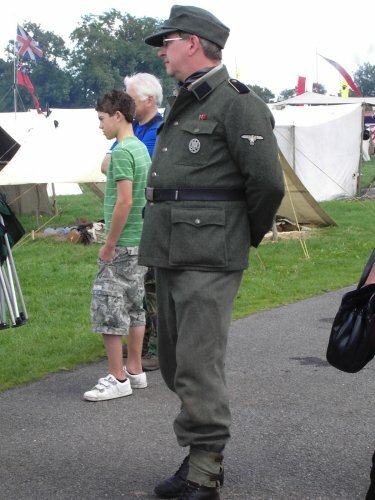 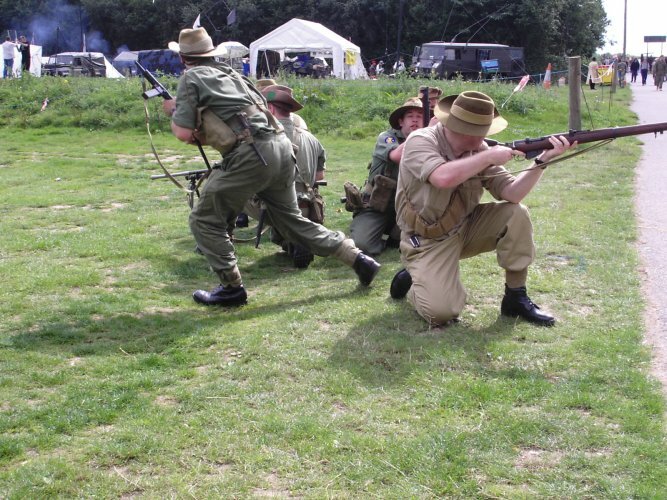 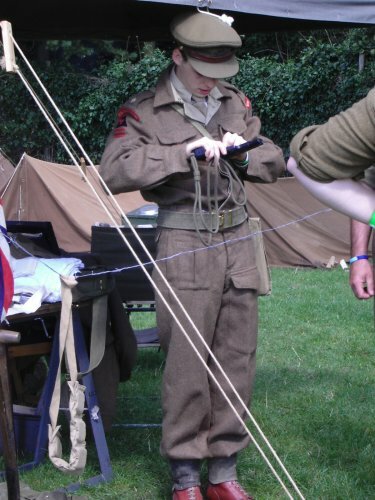 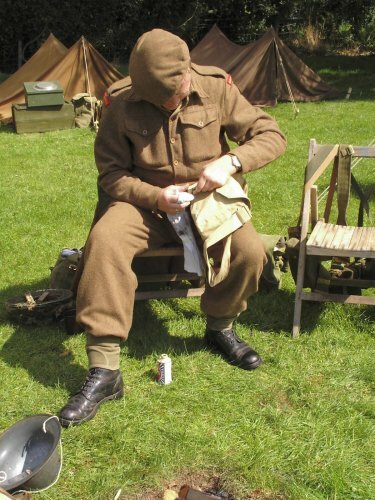 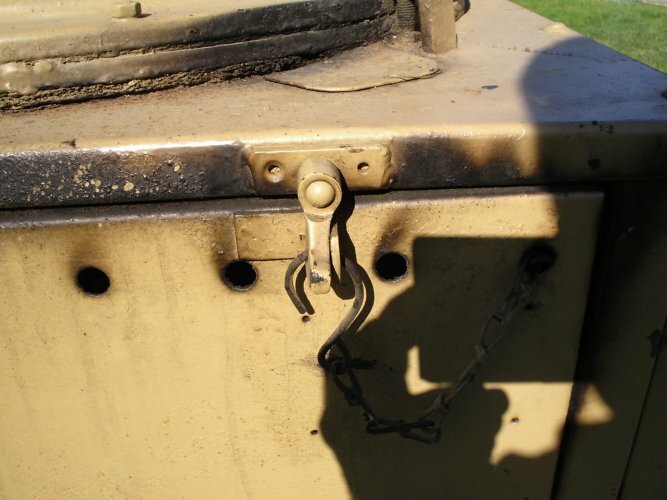 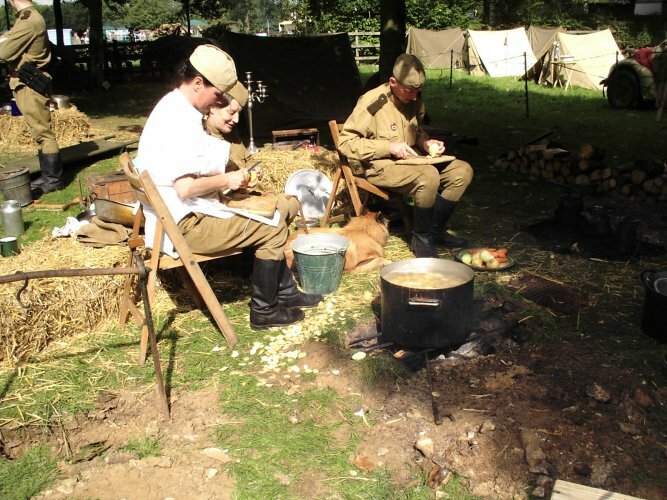 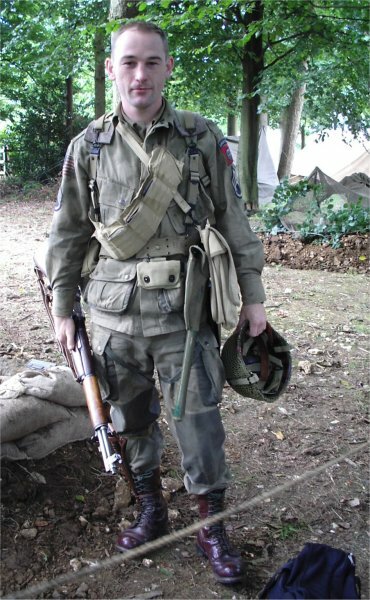 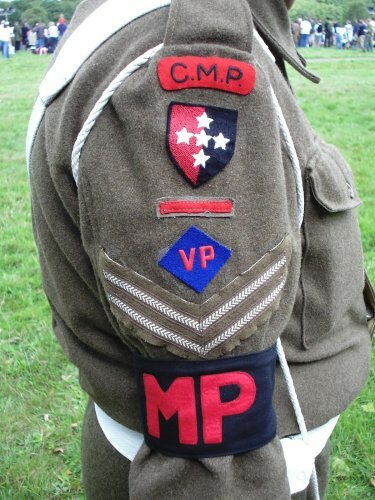 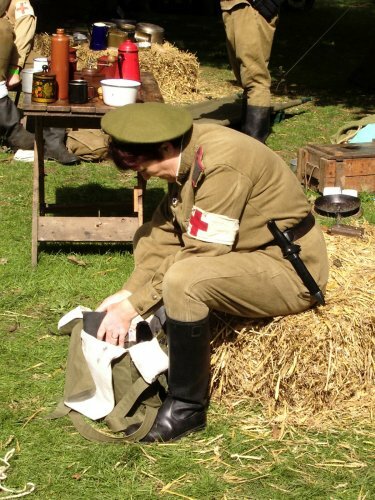 These pictures I believe are courtesy of the W.A.R.S re-enactors group. 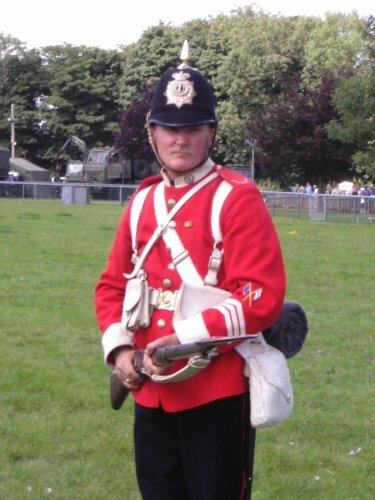 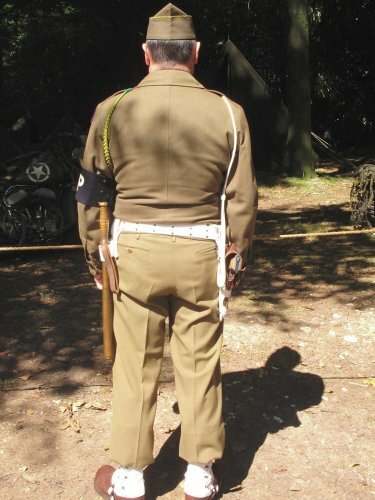 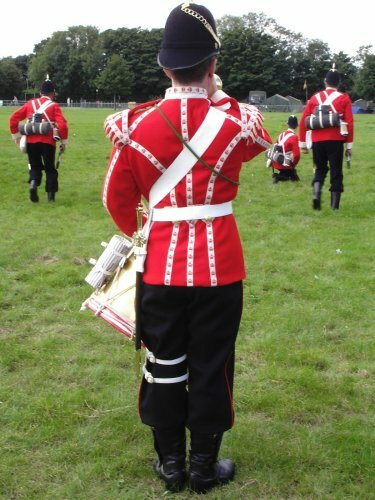 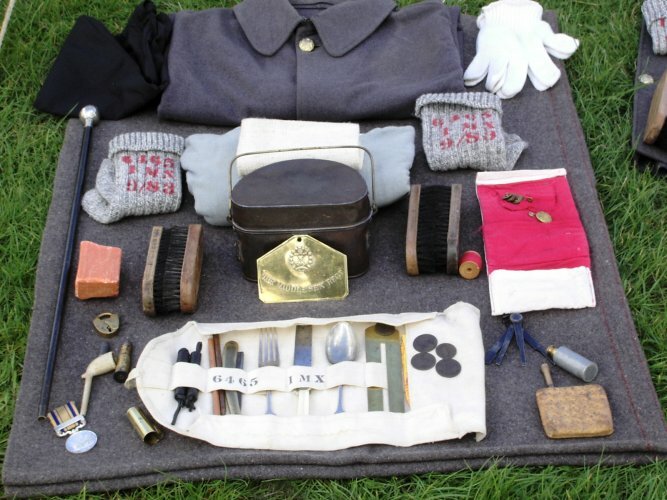 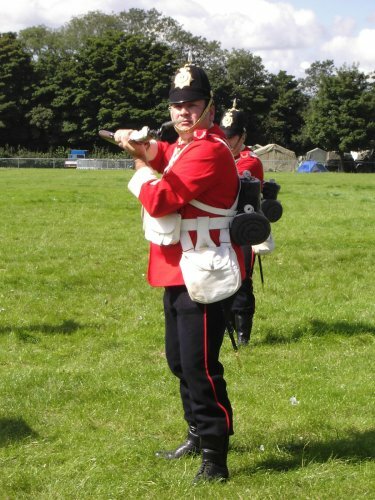 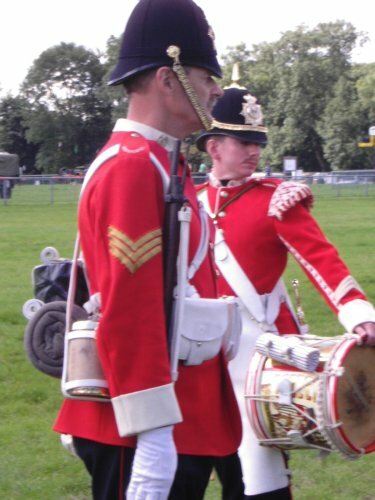 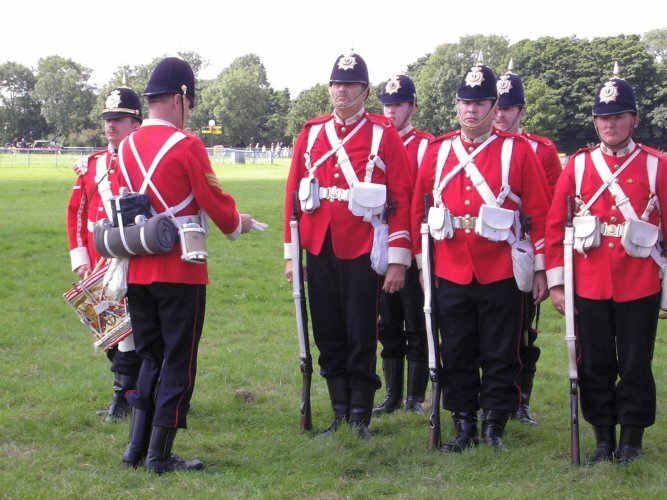 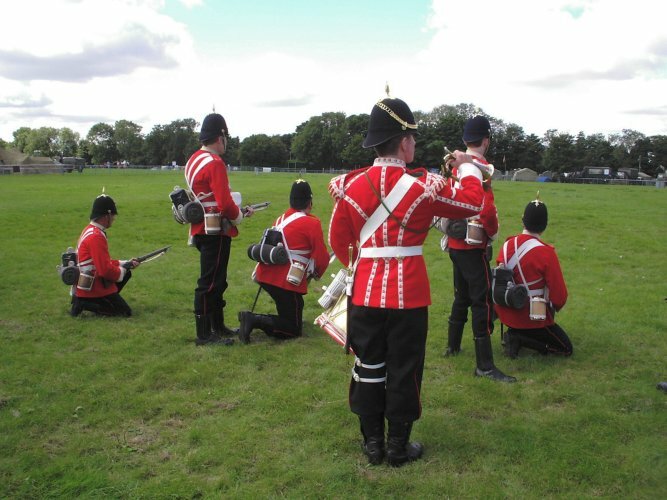 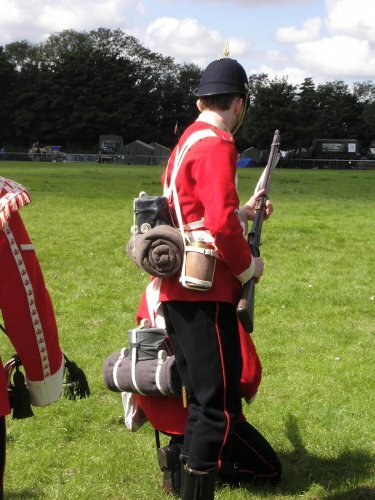 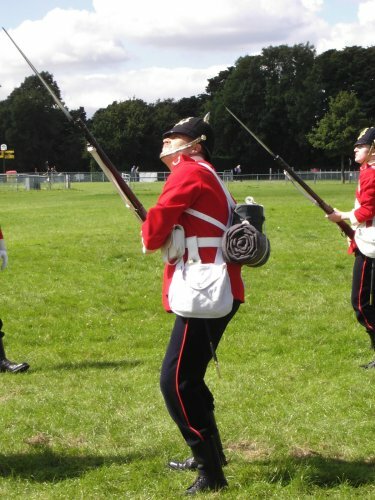 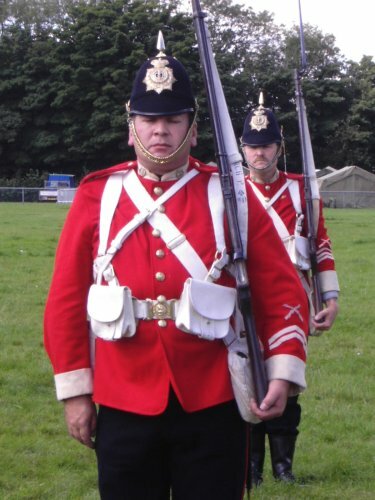 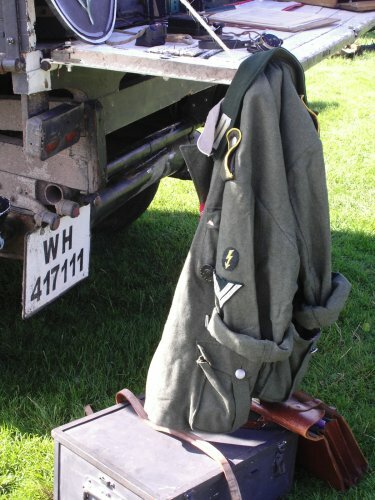 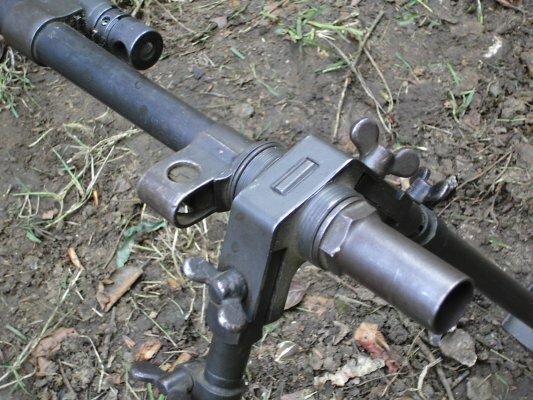 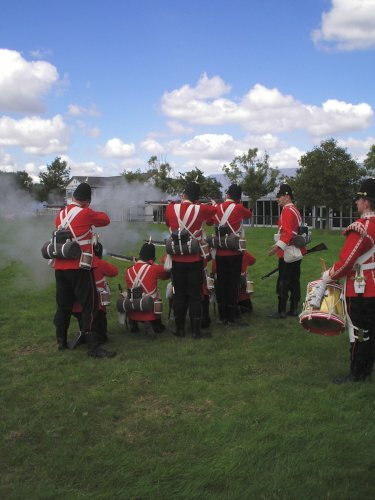 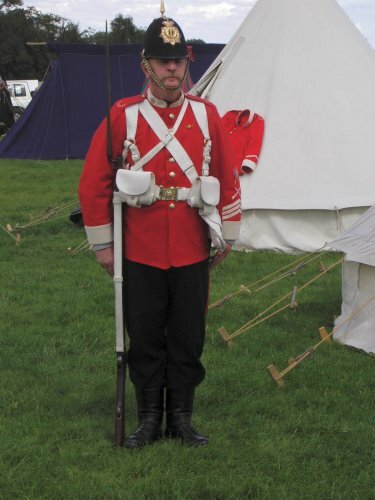 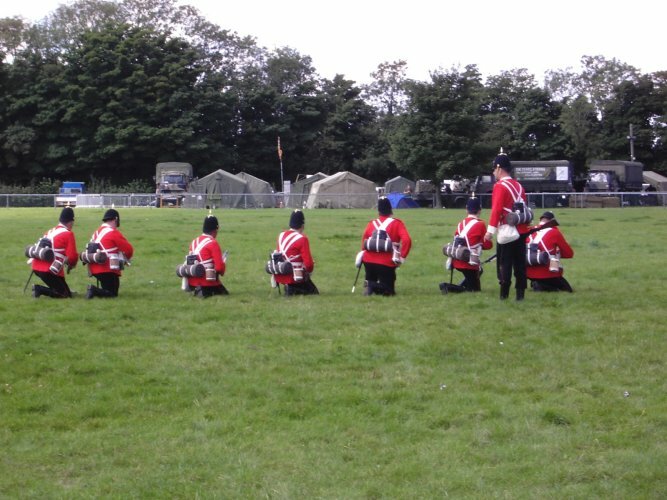 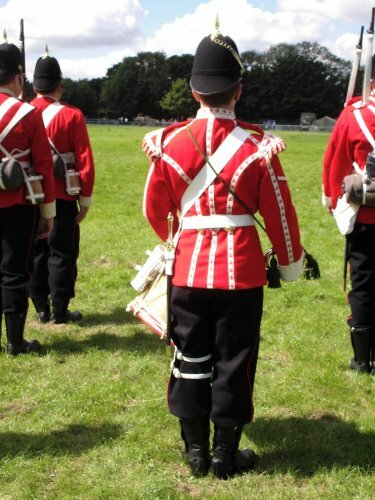 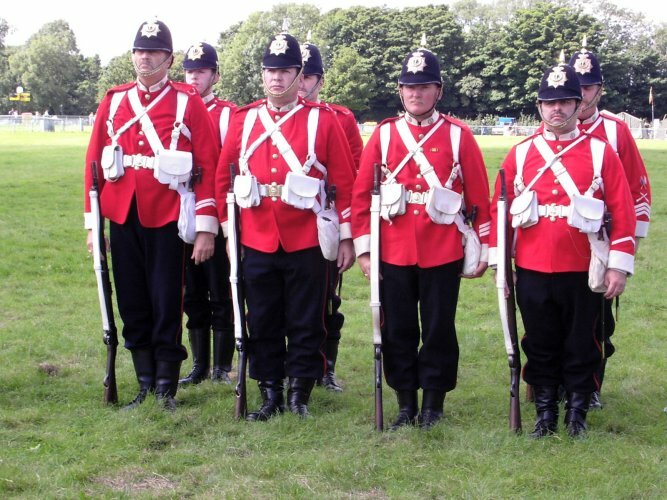 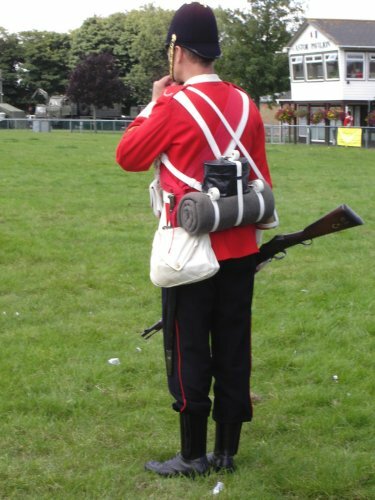 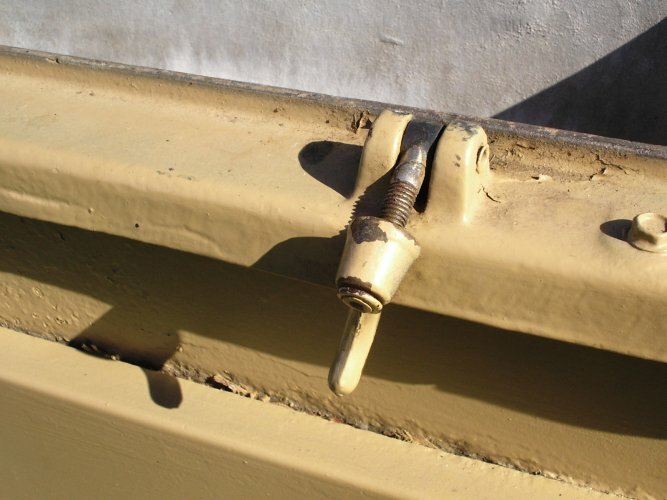 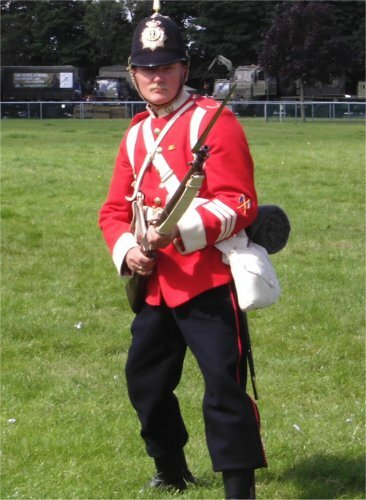 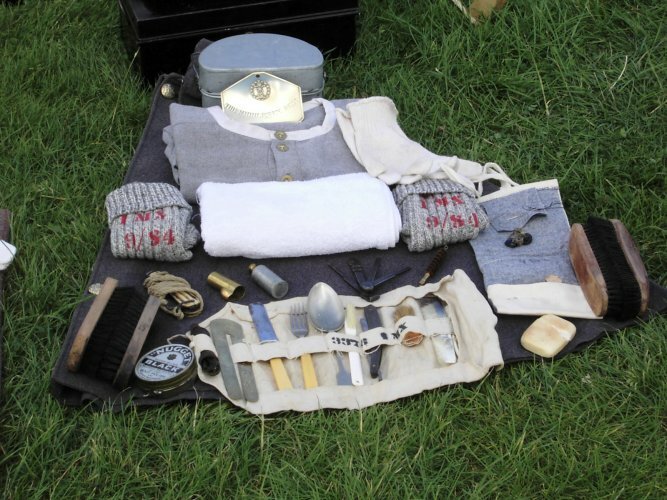 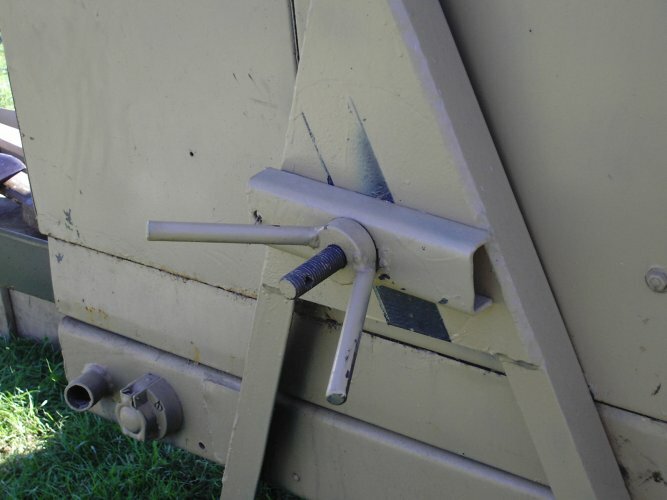 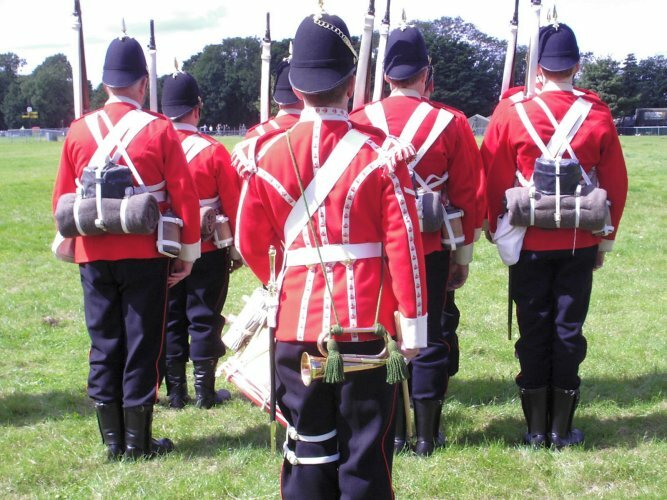 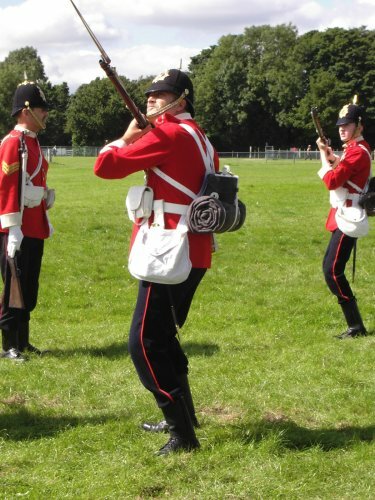 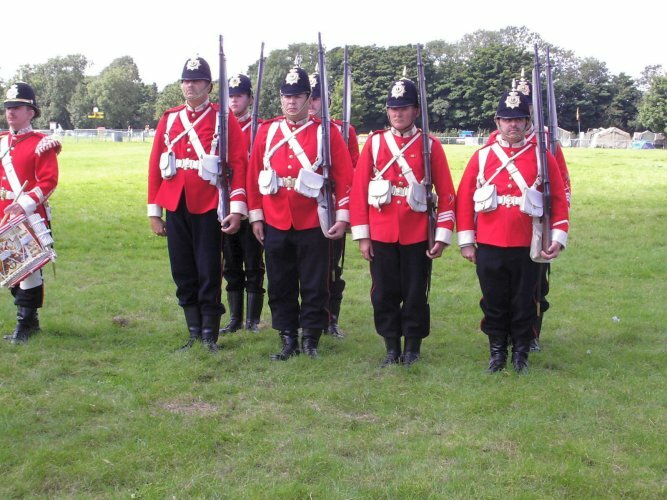 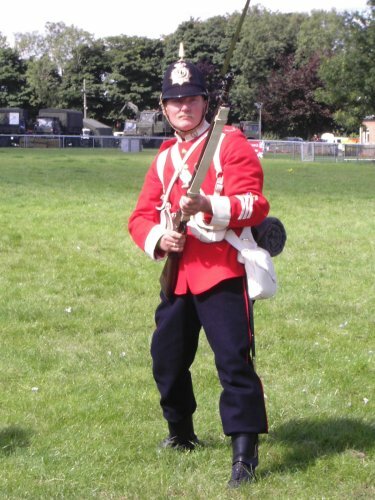 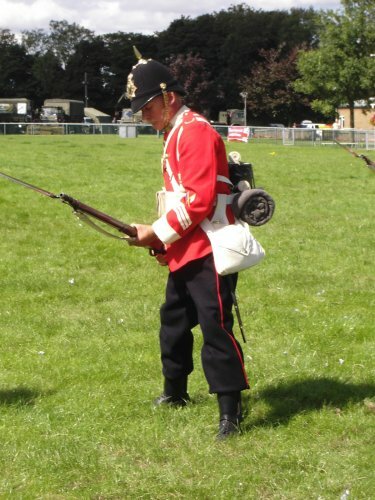 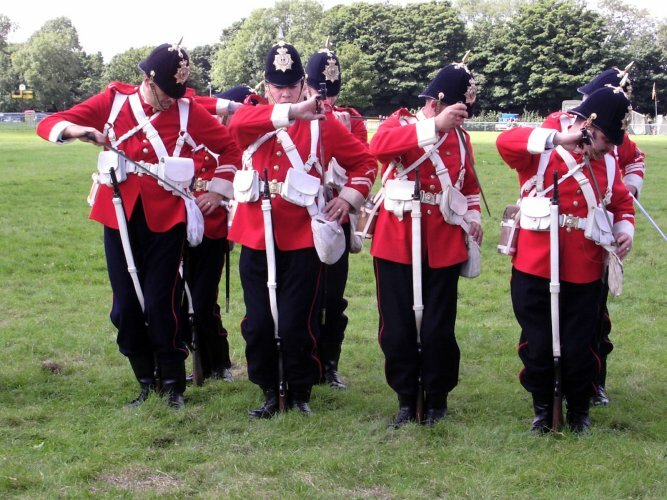 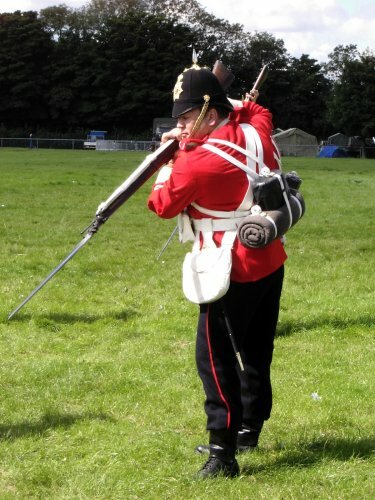 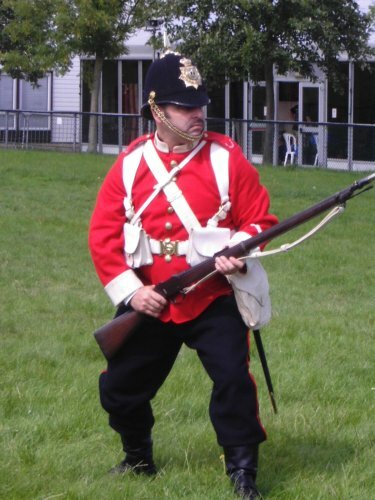 These are pictures of the rifle drill carried out by the re-enactors of the 1st Battalion, (57th) Middlesex regiment. 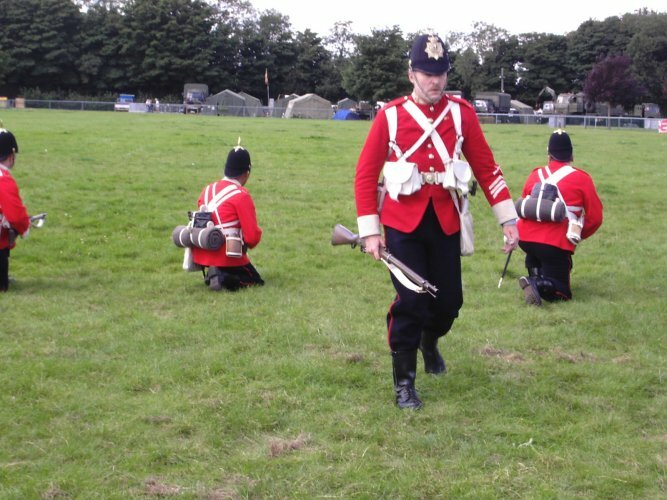 Regarding the first three images below of the British medical soldiers, i was told by the gentleman that the medics were usually armed with the sidearm as portrayed here. 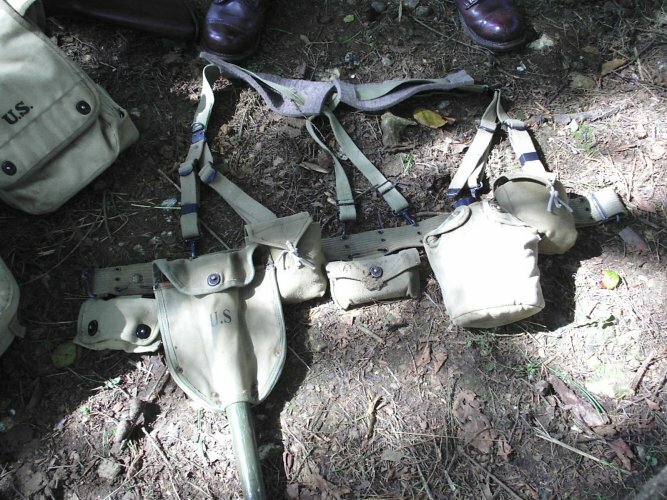 And that they were only issued with five rounds of ammunition for the weapon, as it could be used for self protection or the casualty. 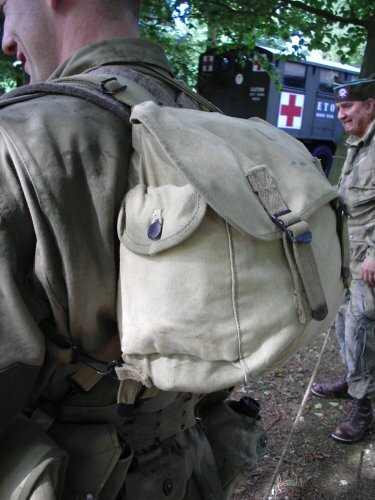 Or in extreme cases to be used to put down a casualty if needed.